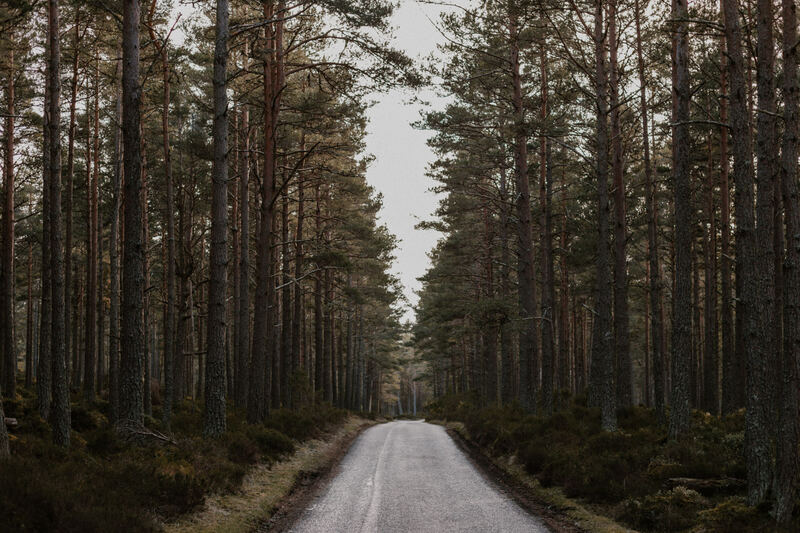 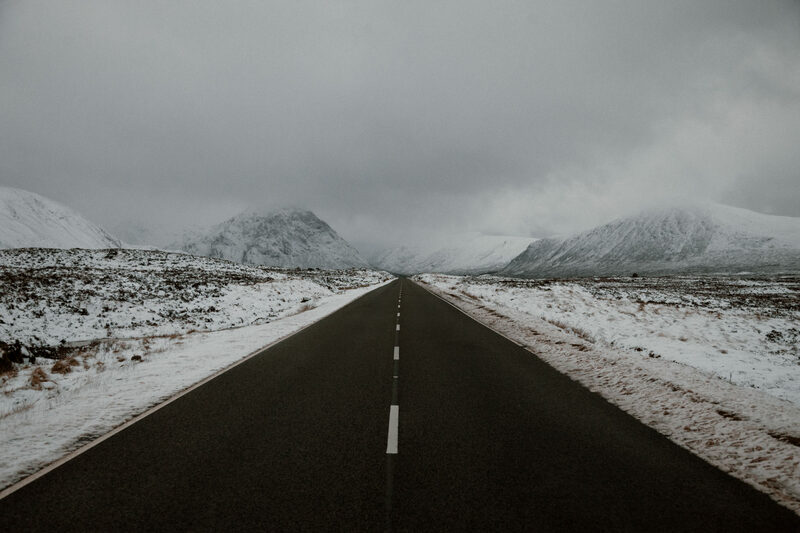 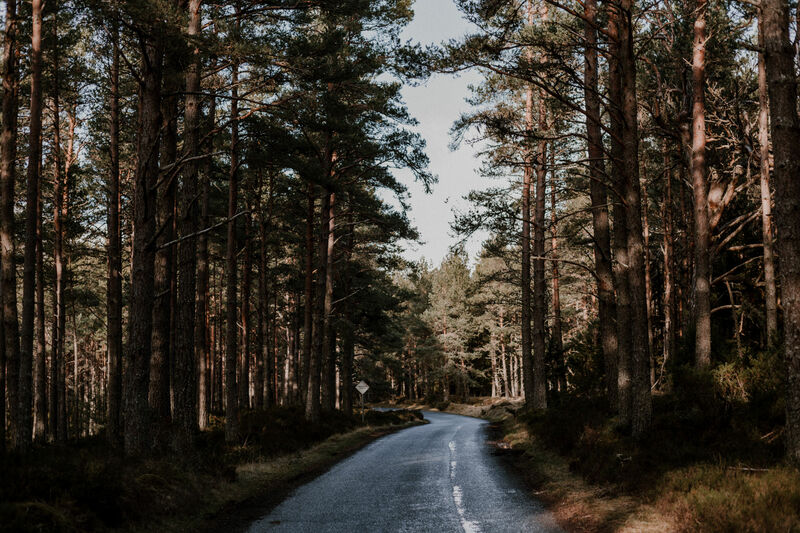 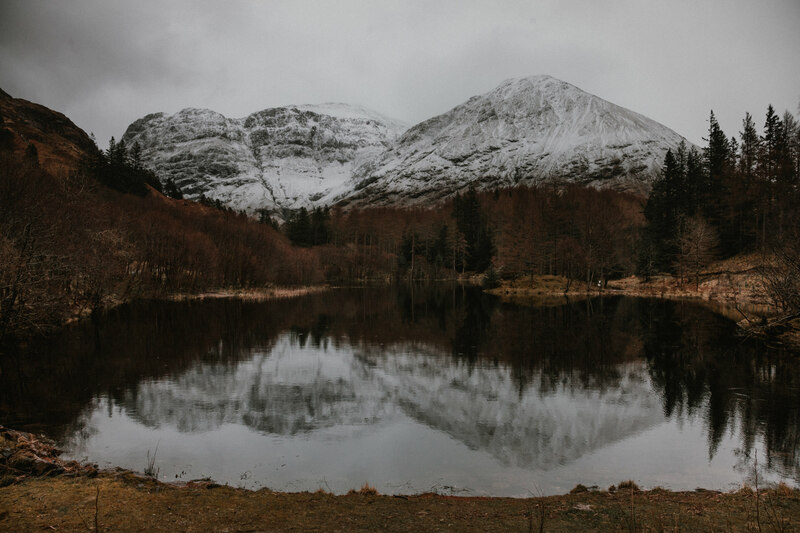 Back in March, Alex and Tom travelled up from England to embark on an epic road trip across Scotland— taking in the Trossachs, the Highlands and the Isle of Skye. 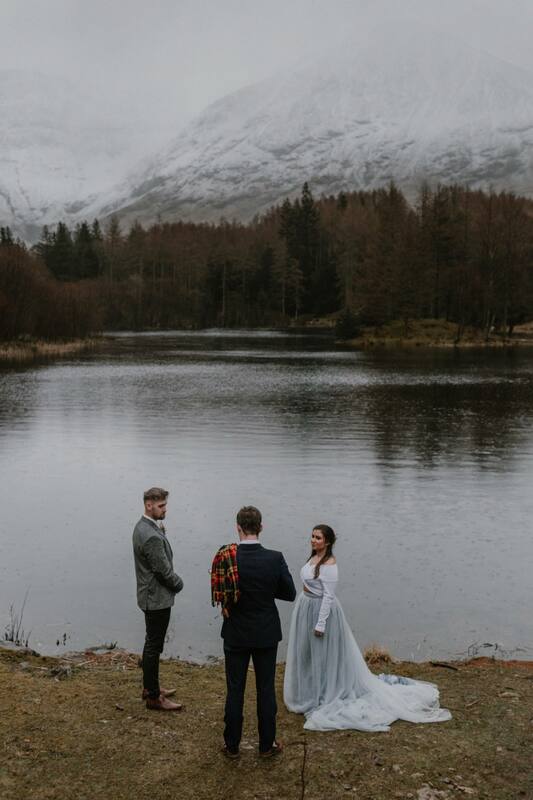 It was their first time visiting in this incredible country, and it was going to be a special experience in more ways than one! 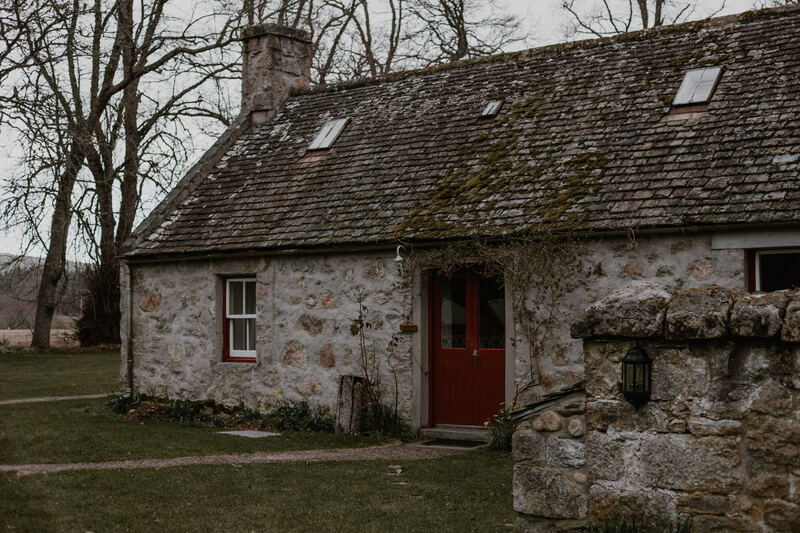 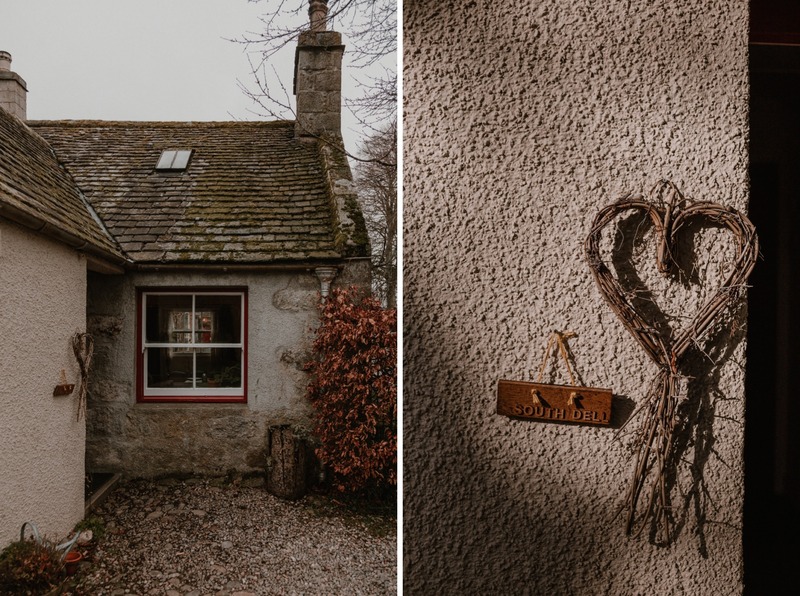 We caught-up with them in the Cairngorms, where we spent the weekend together in one of the small stone cottages at The Dell of Abernethy near Aviemore. 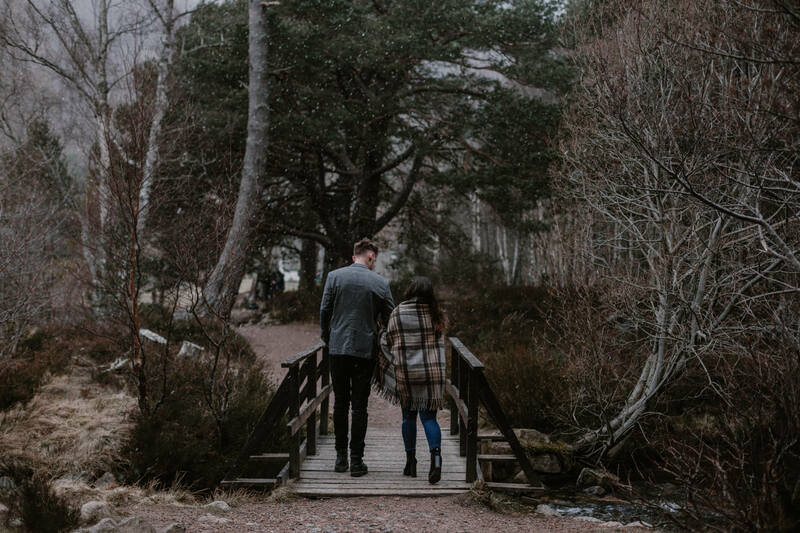 This quiet, woodland setting could not be more perfect for a romantic getaway. 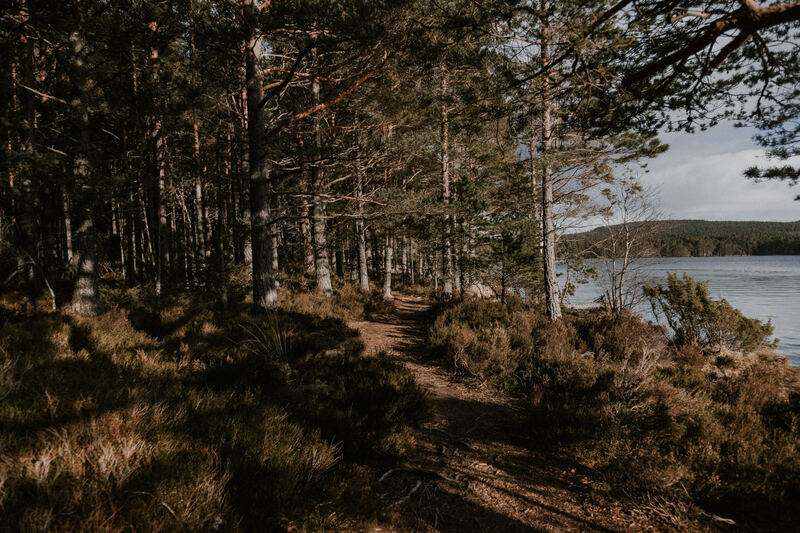 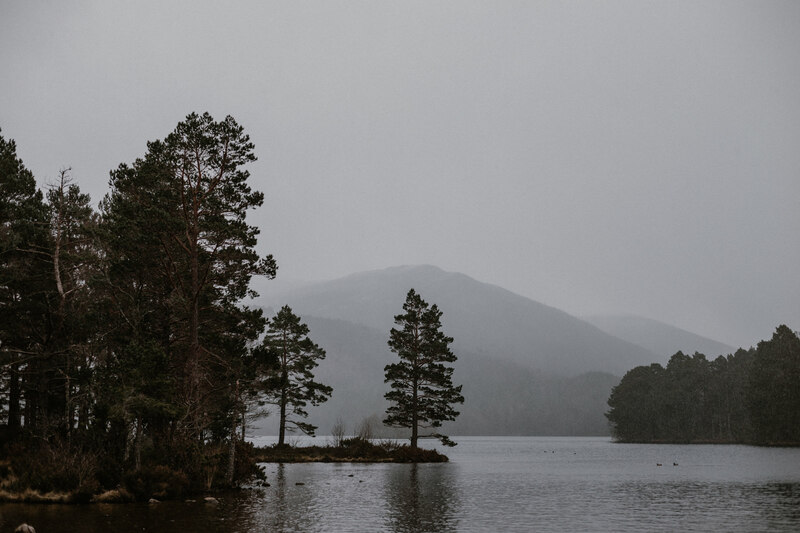 We spent the afternoon exploring some of the most serenely beautiful landscapes that Scotland has to offer: mountains, Caledonian pine forests and peaceful lochs. 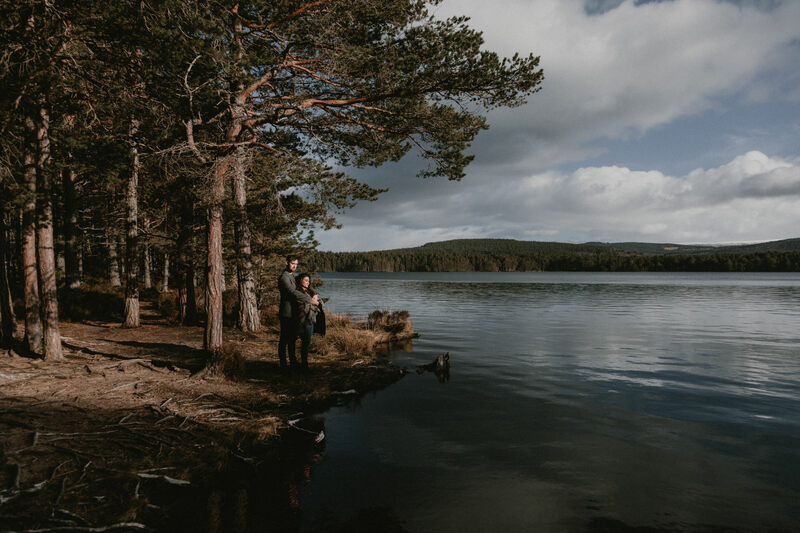 In true Scottish fashion, we experienced four seasons in one day, snow showers, light rain and then a glorious evening by Loch An Eilein as the sun disappeared behind the hills. 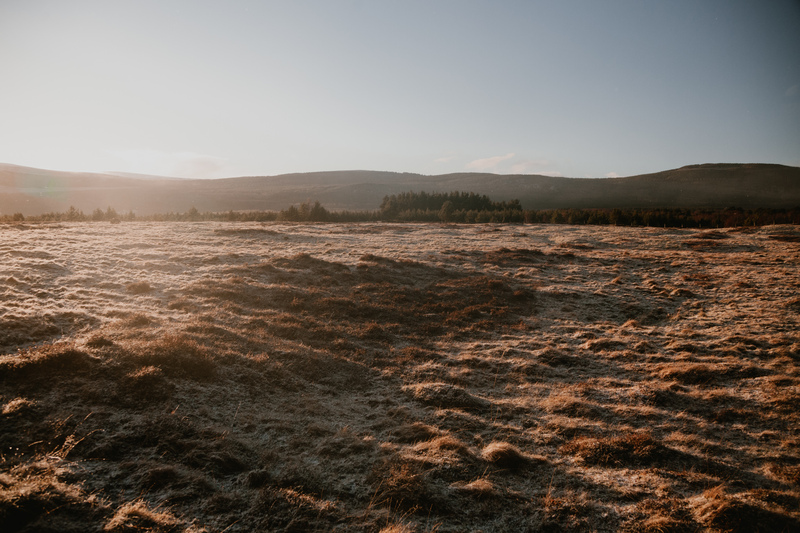 The following morning was crisp and bright. 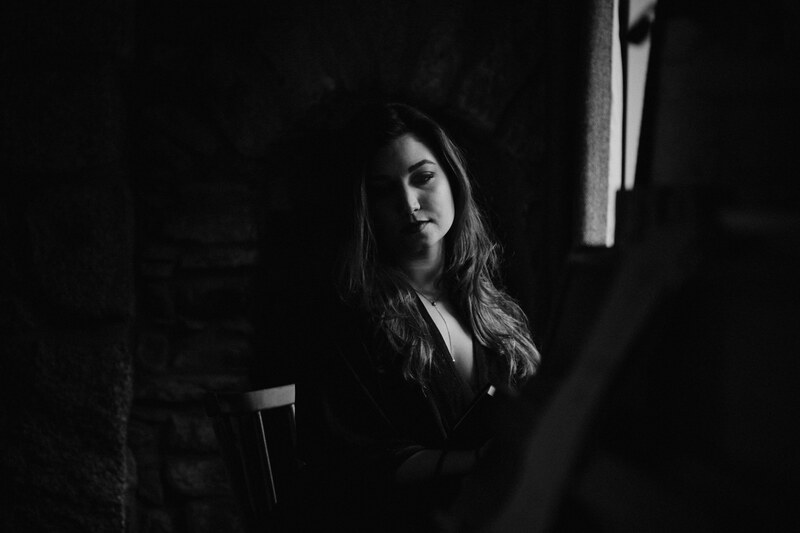 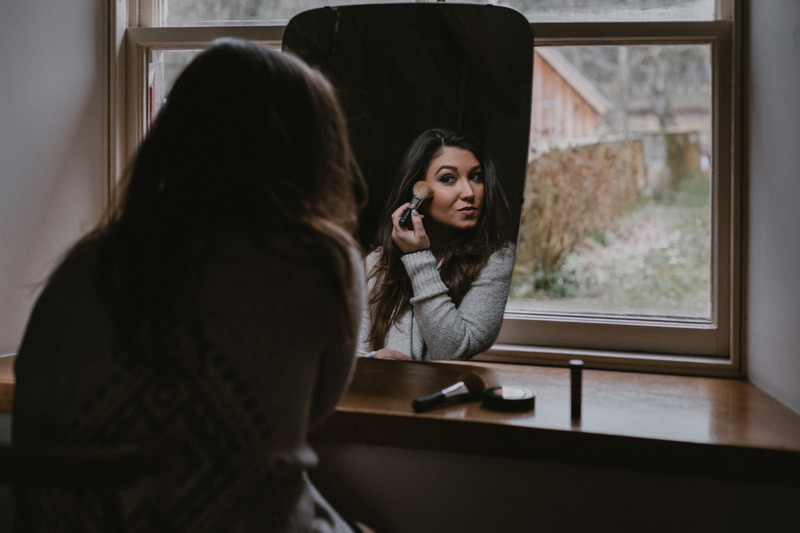 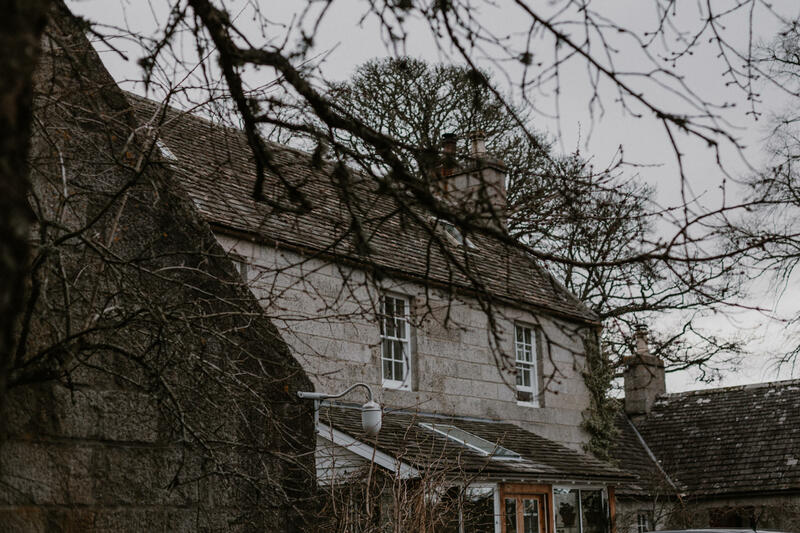 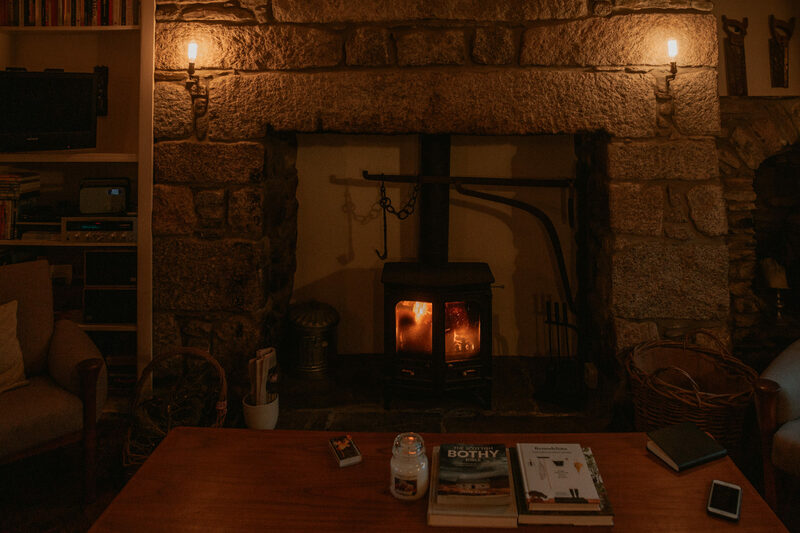 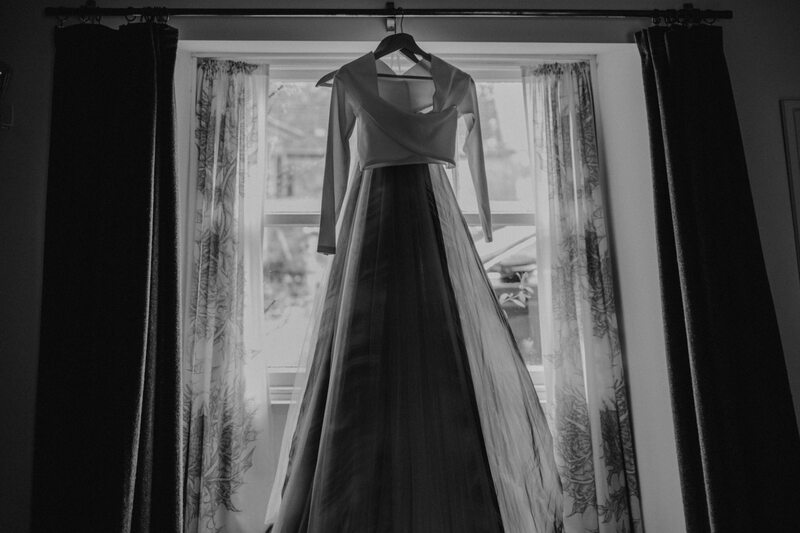 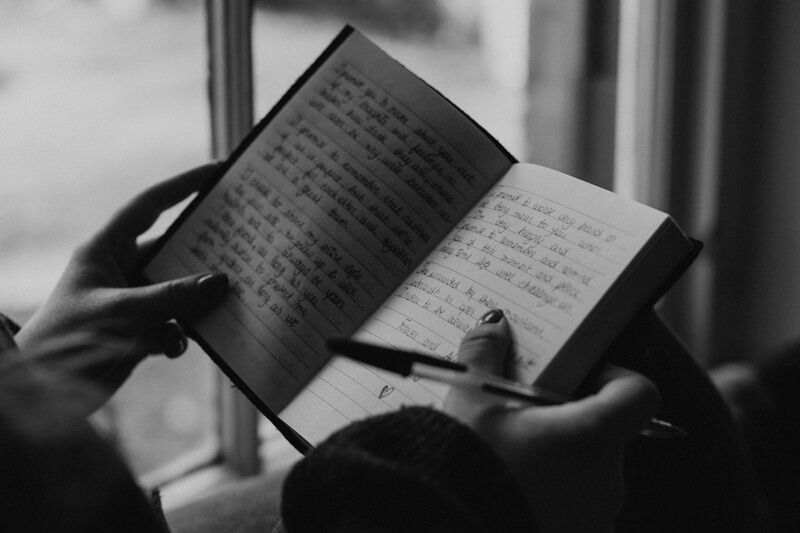 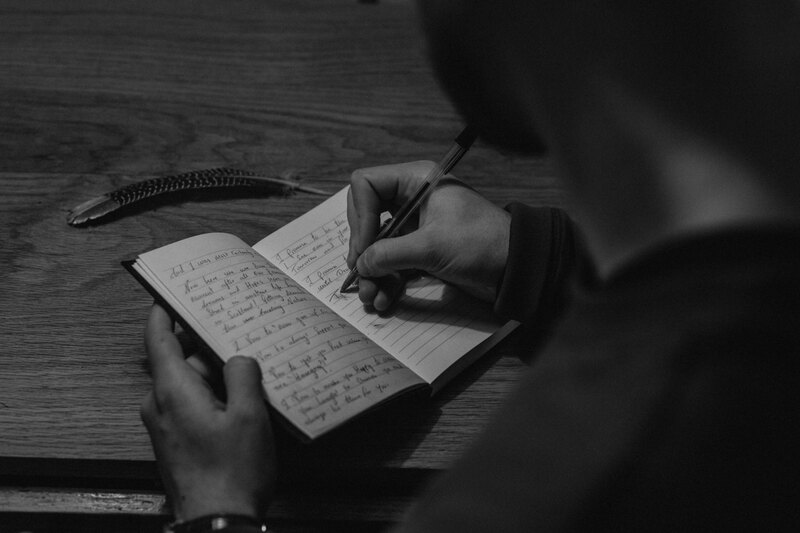 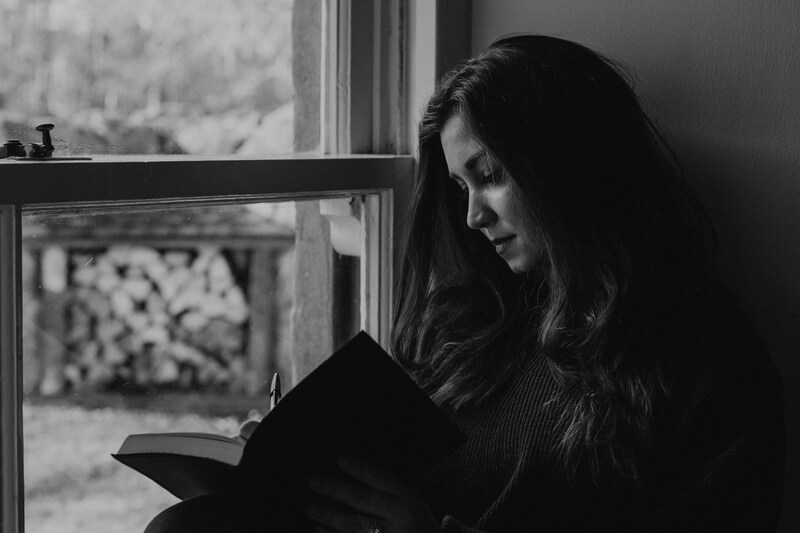 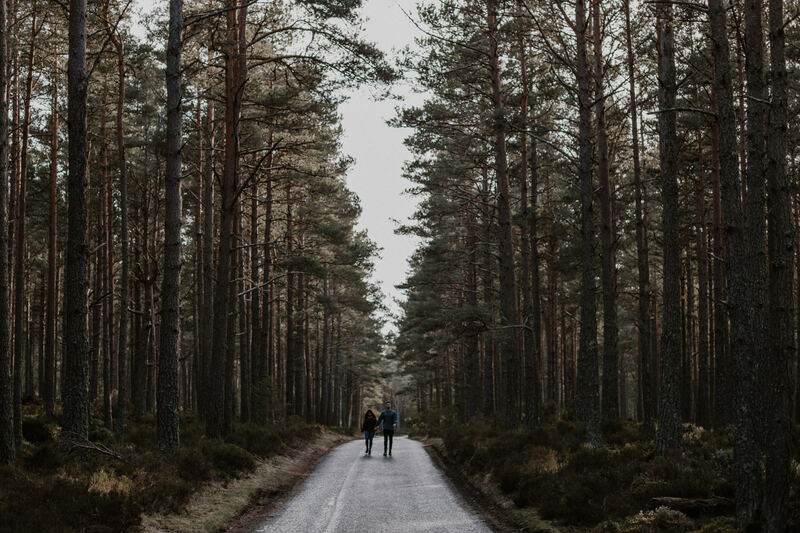 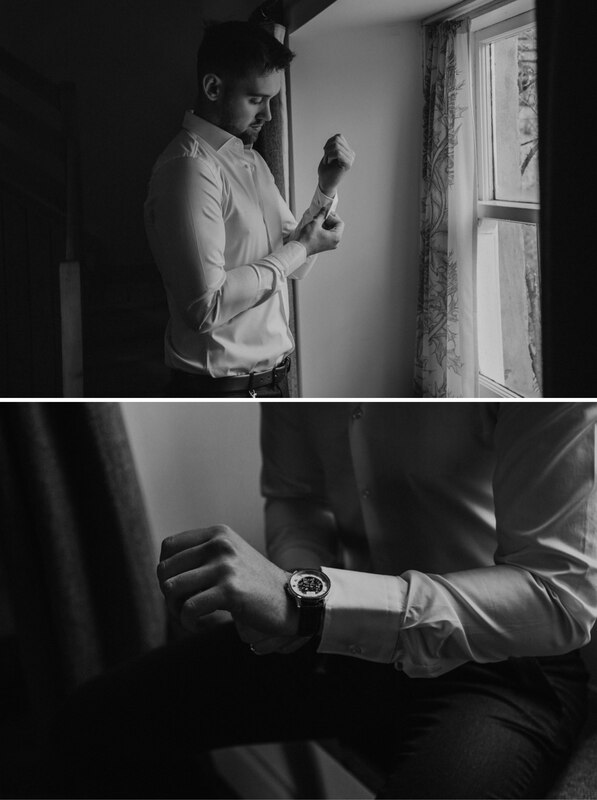 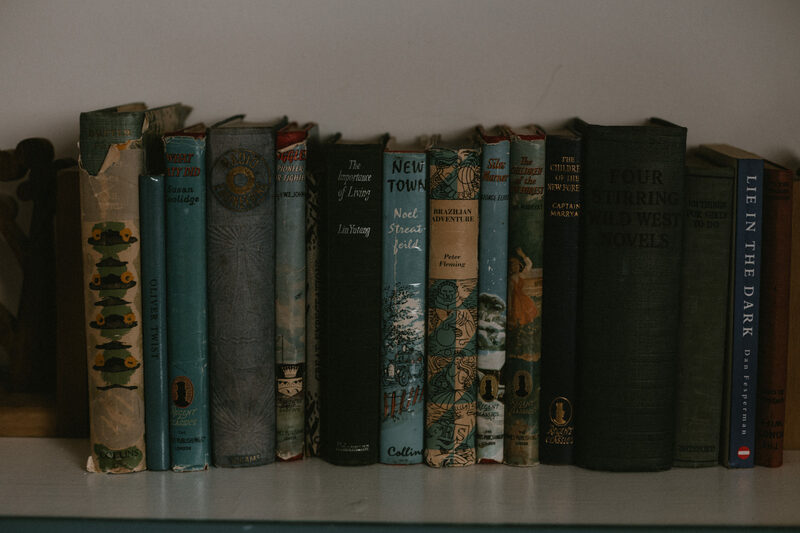 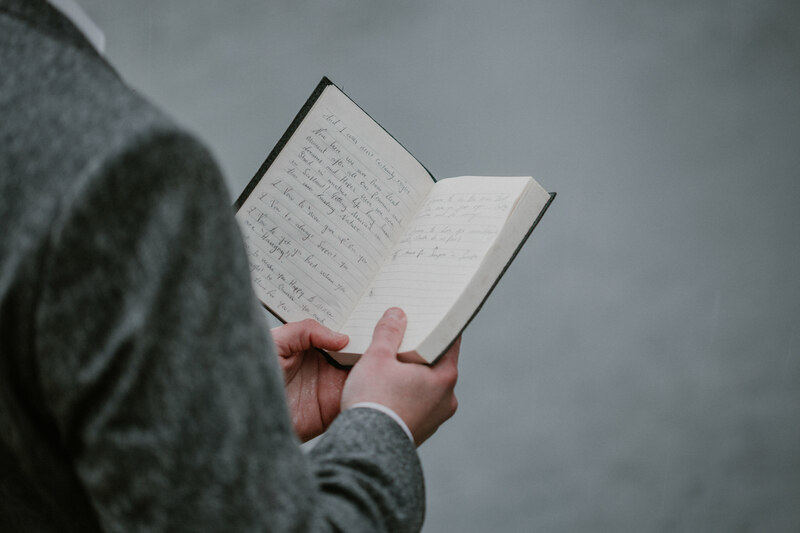 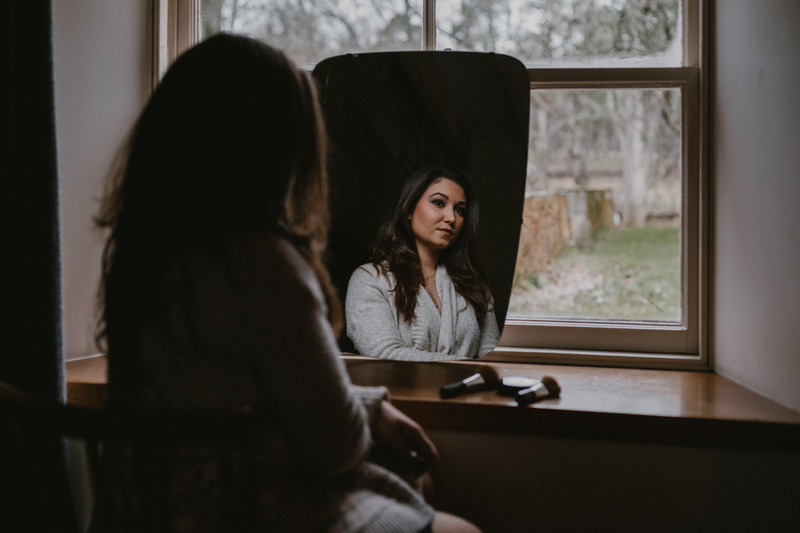 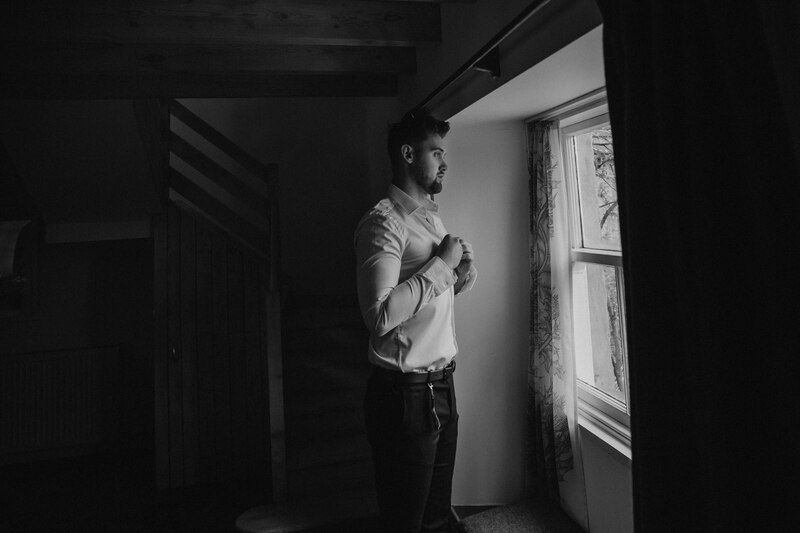 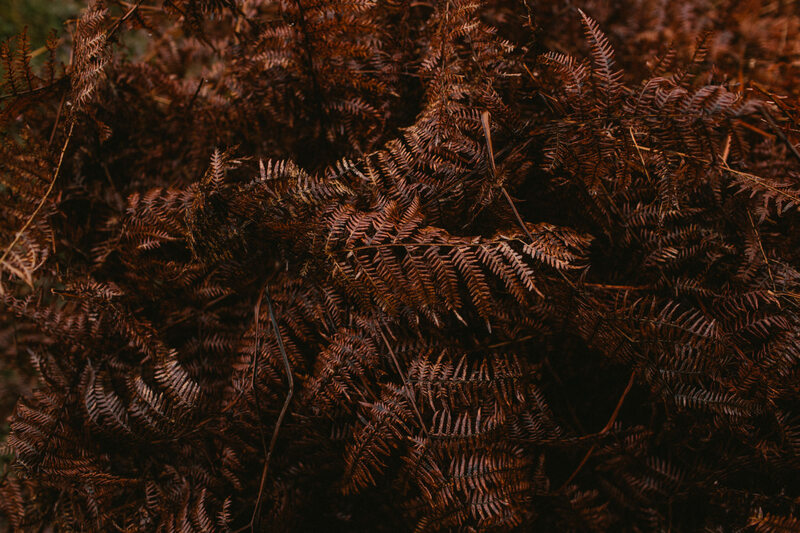 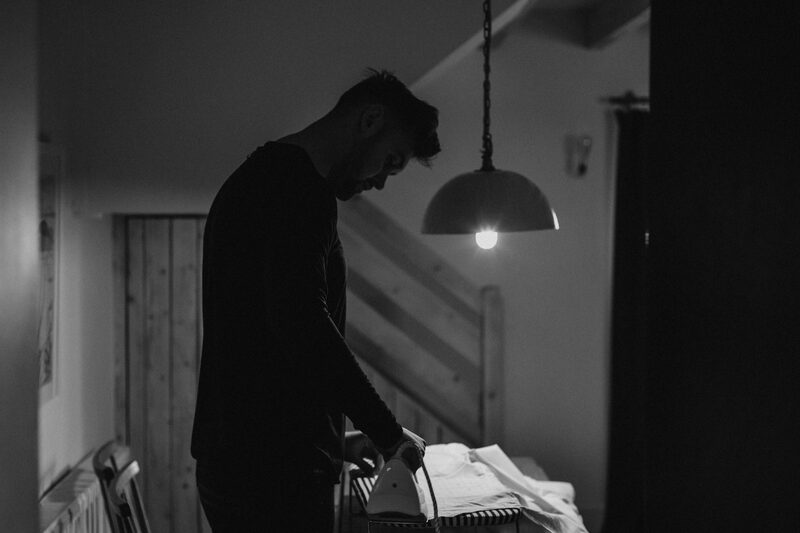 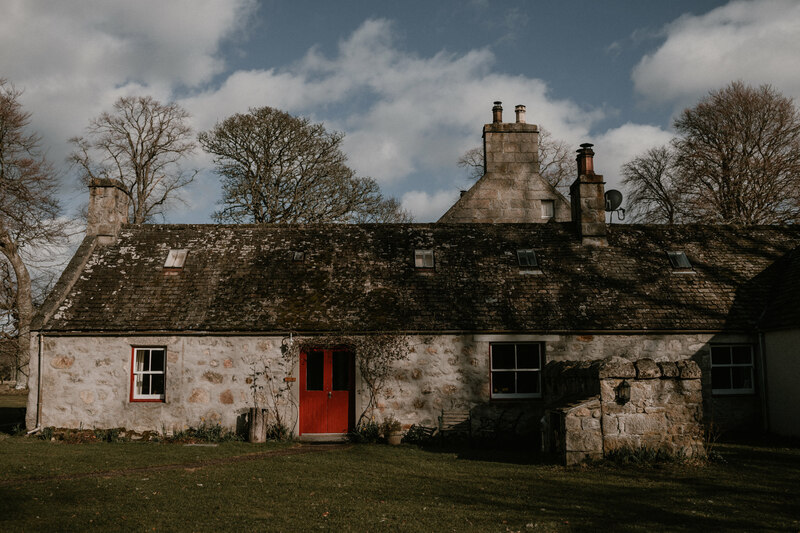 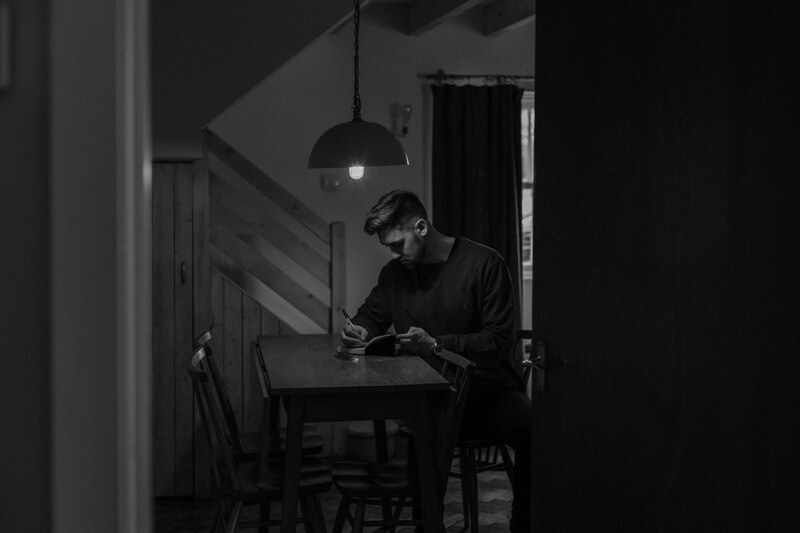 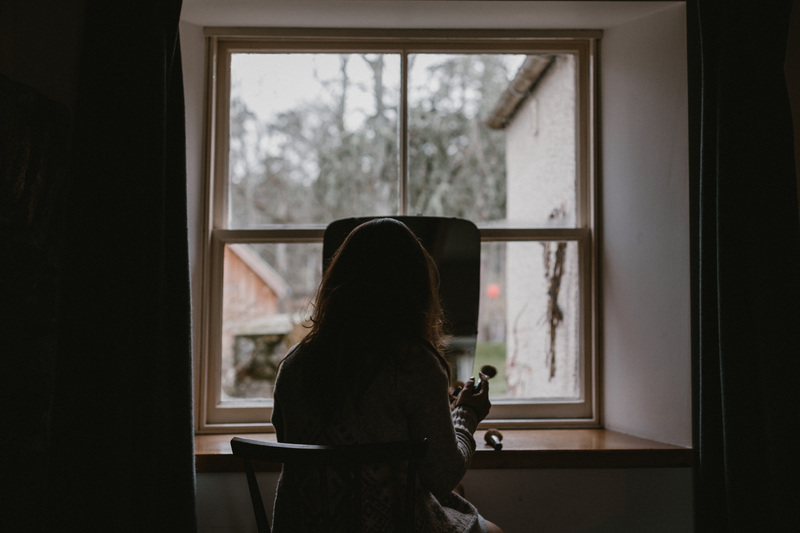 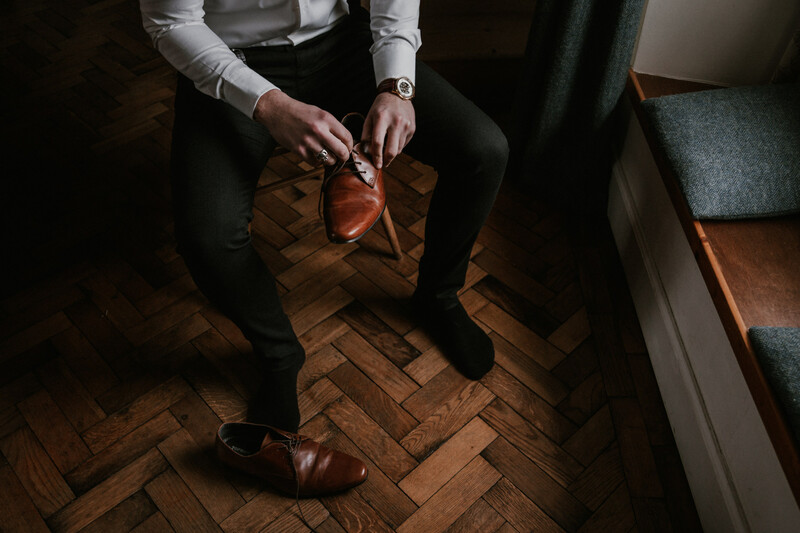 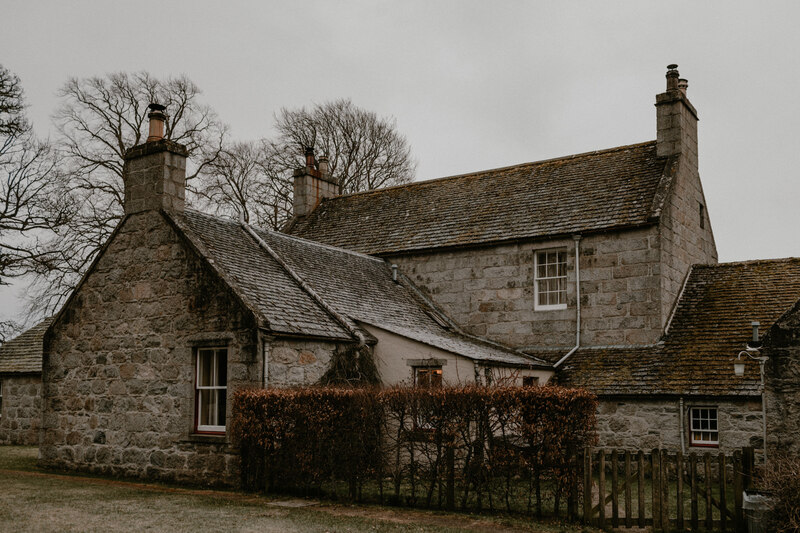 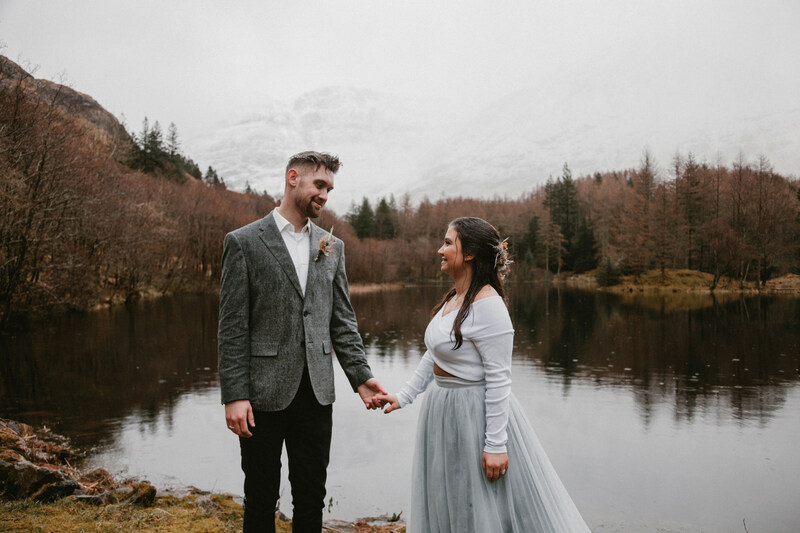 Things unfolded at their own pace, with breakfast at the cottage while Alex and Tom got ready for what was to be the highlight of their trip: their elopement in Glencoe. 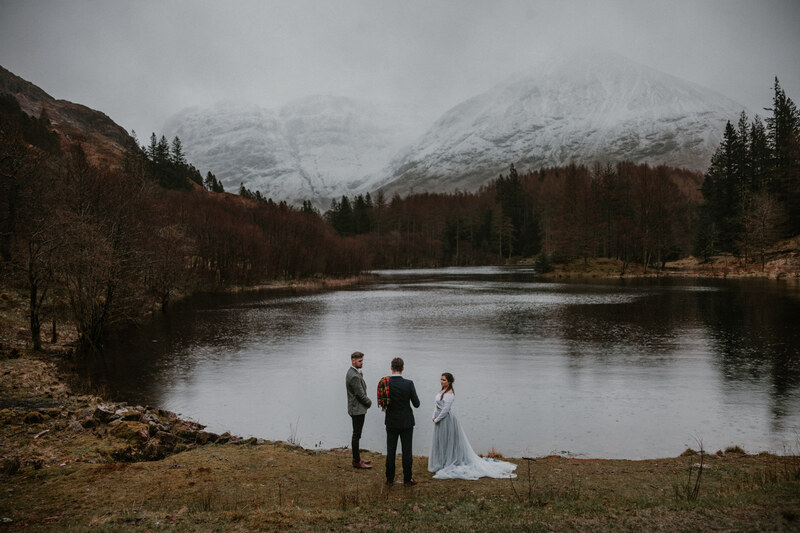 As we travelled cross country it became clear that the weather in the West Highlands was going to be challenging for an outdoor ceremony—wet, windy and utterly freezing! 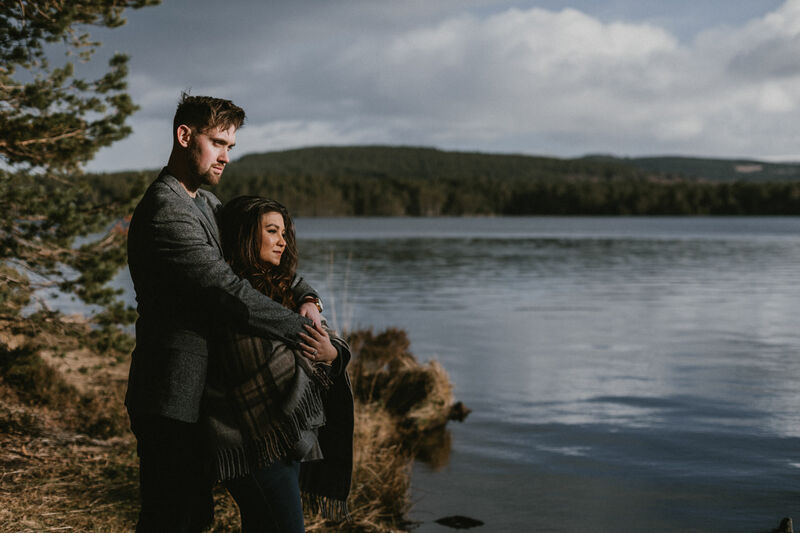 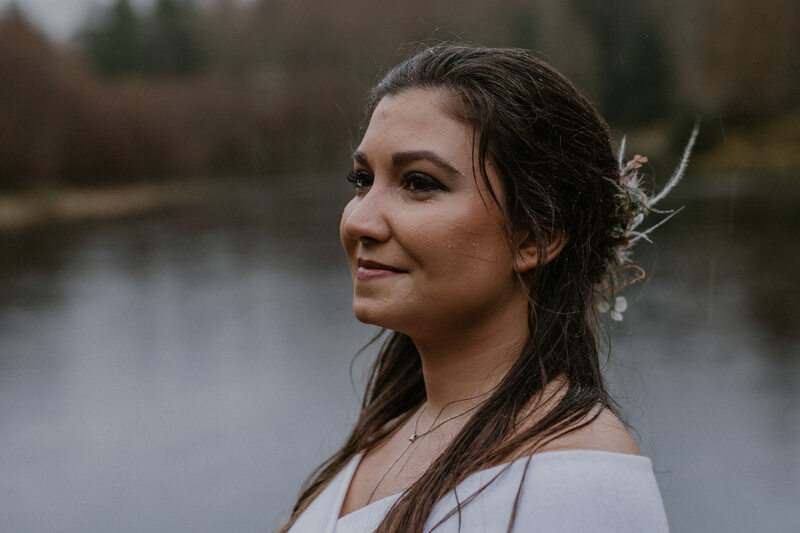 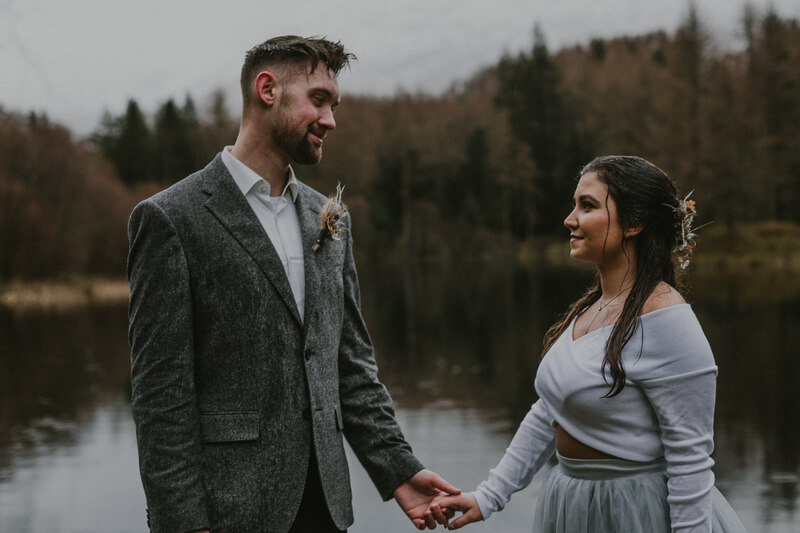 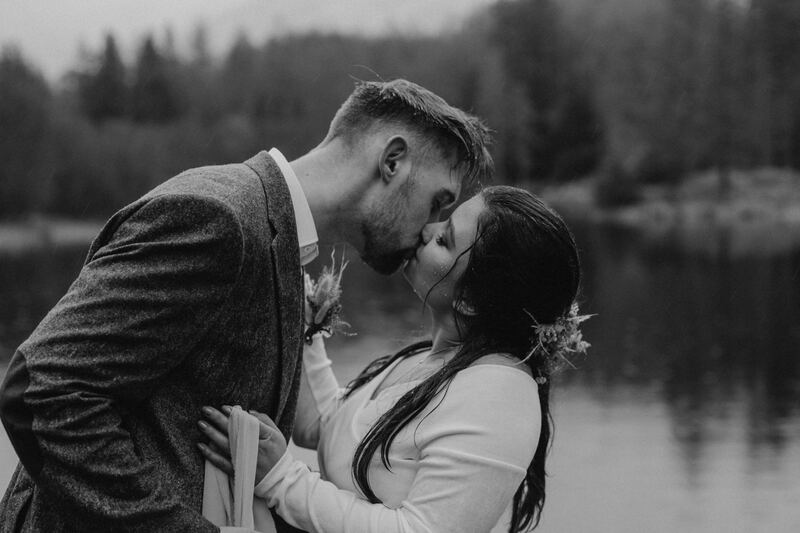 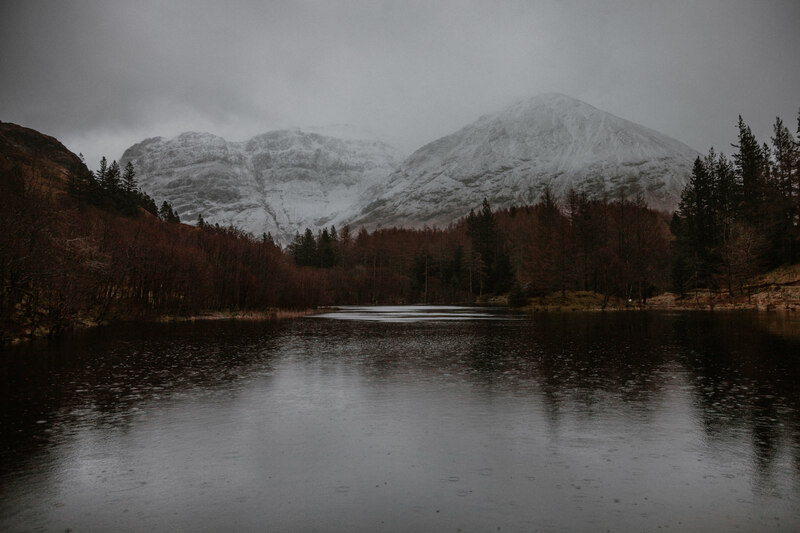 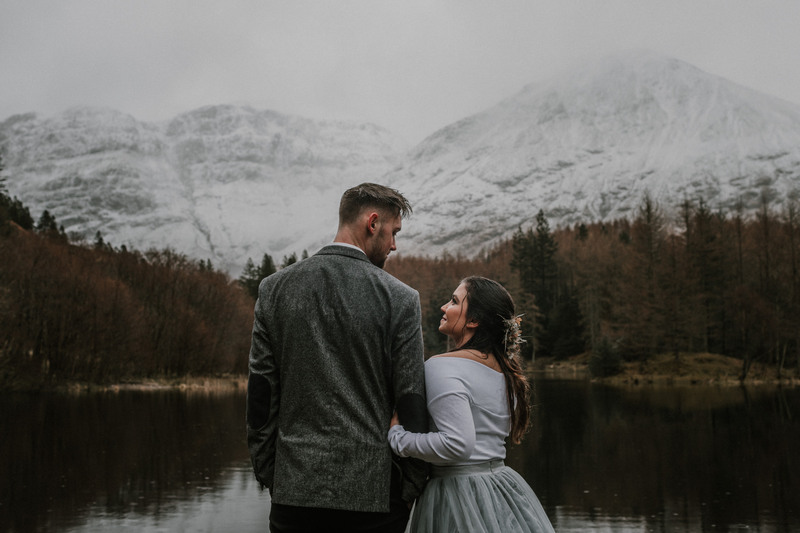 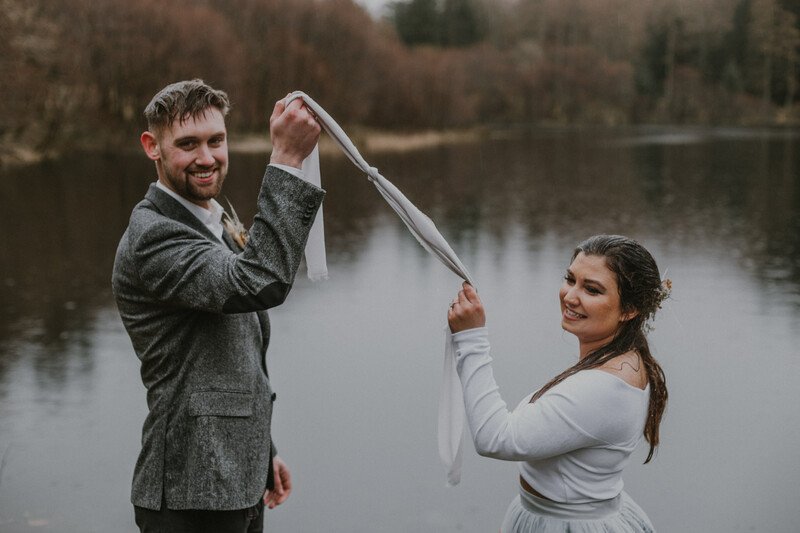 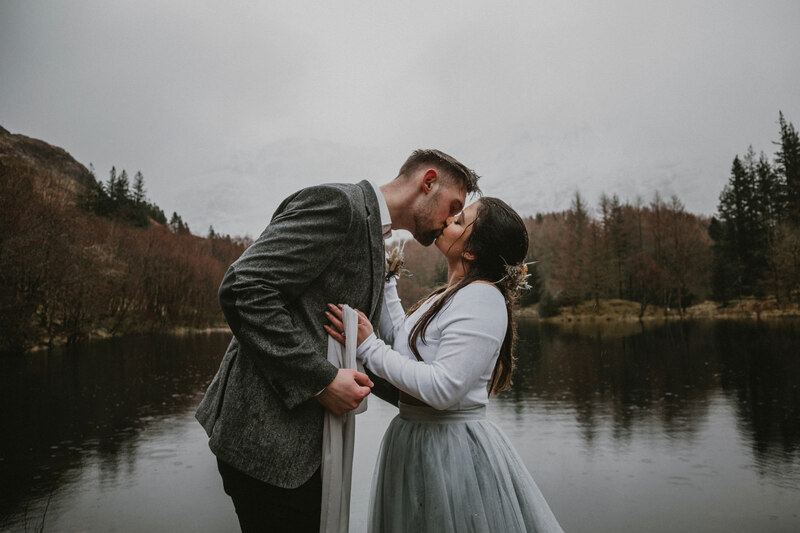 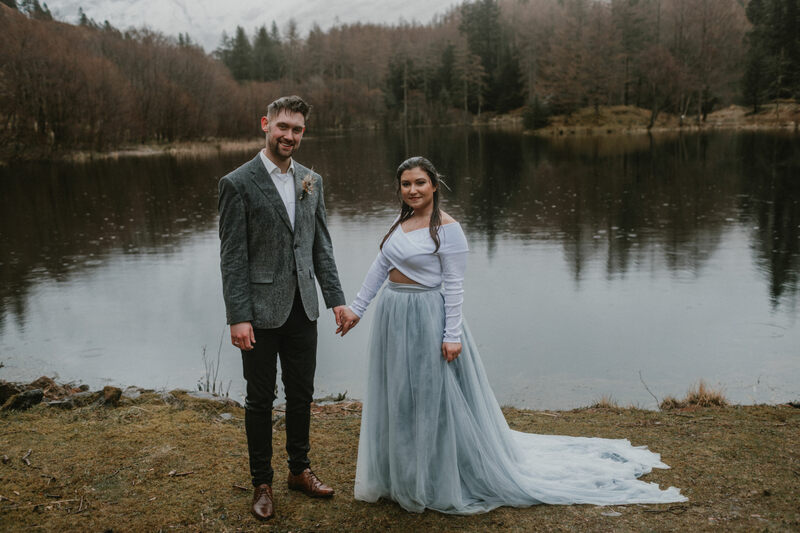 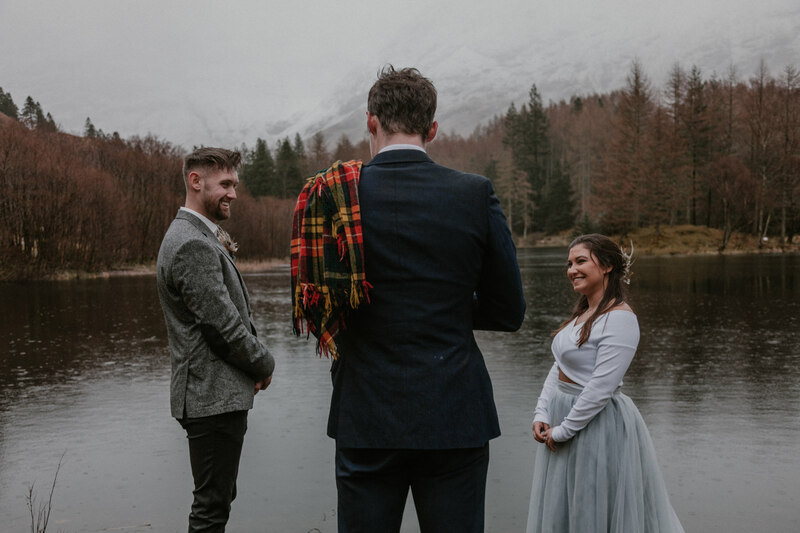 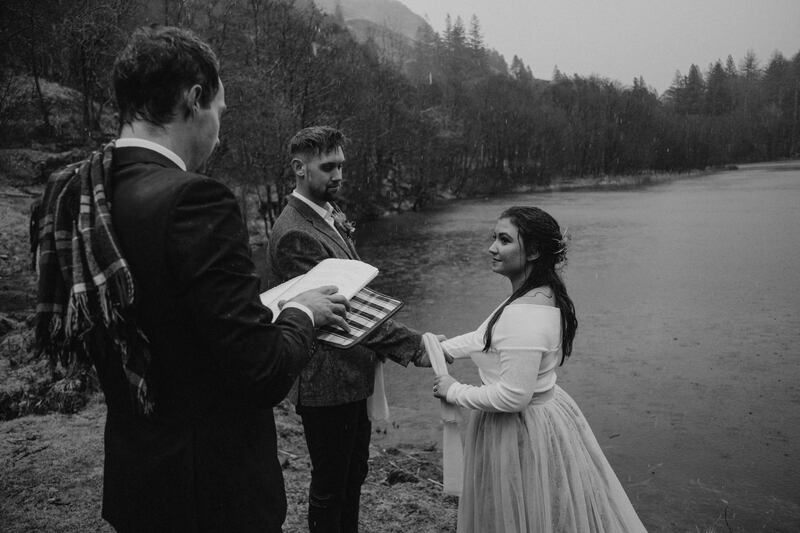 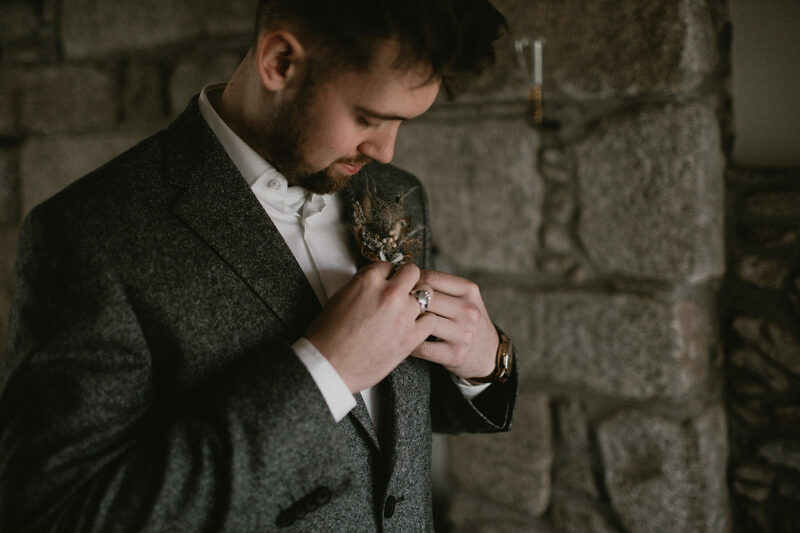 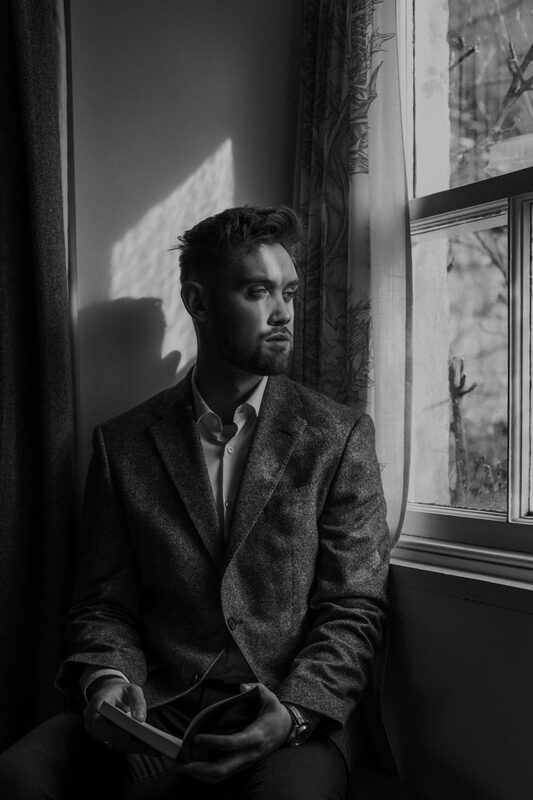 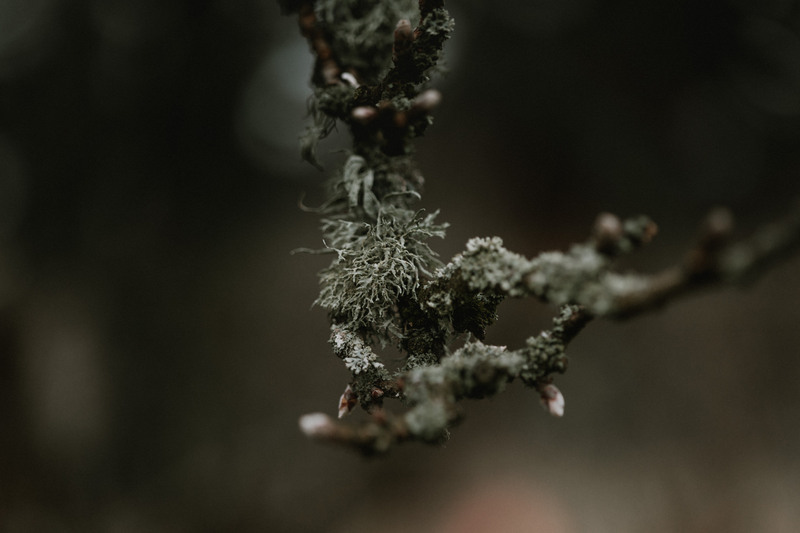 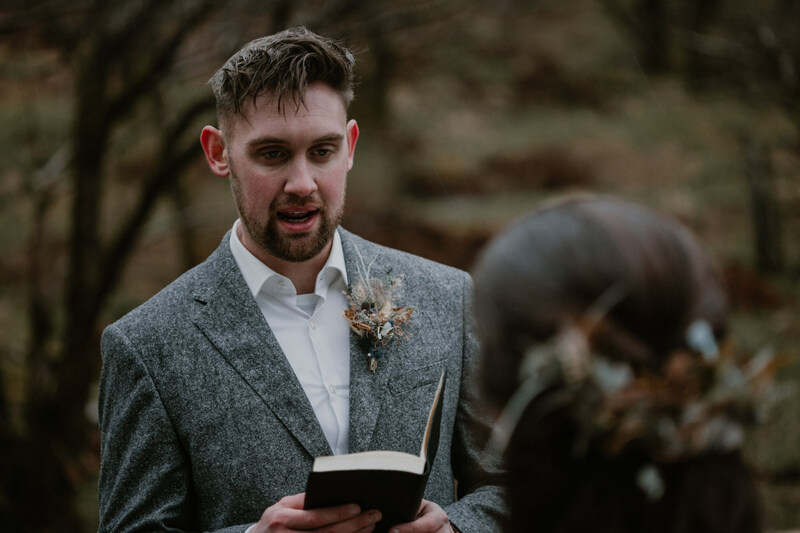 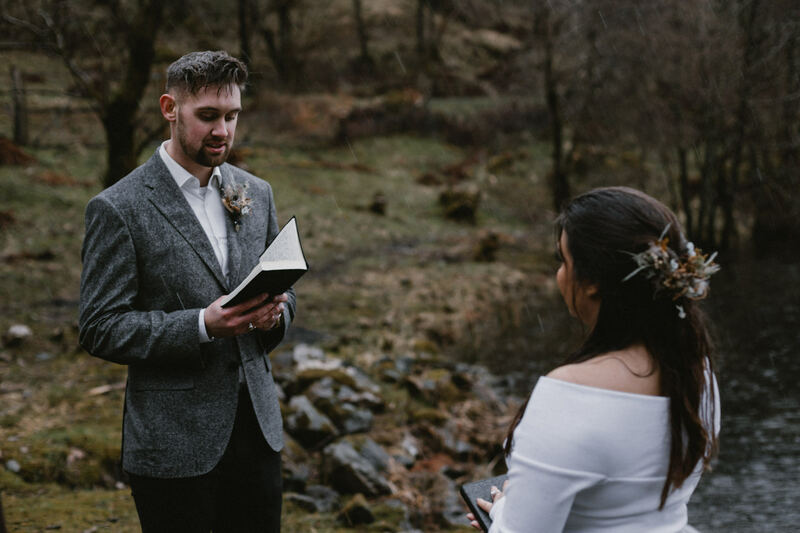 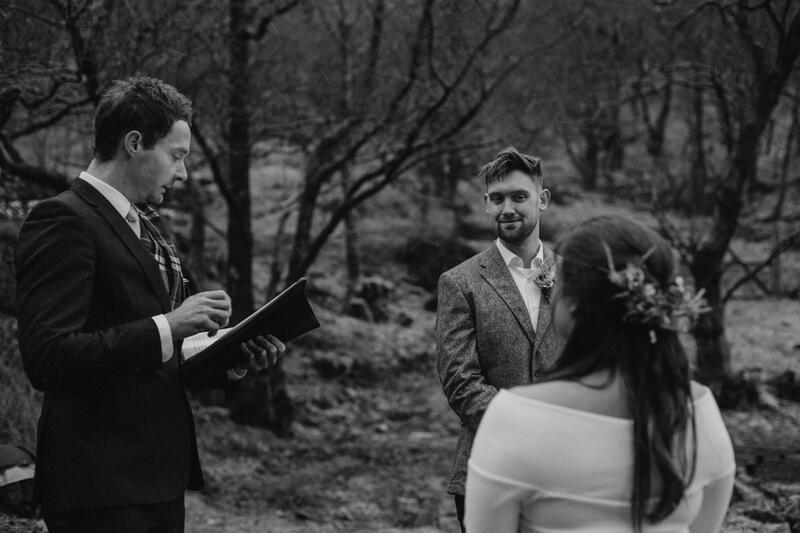 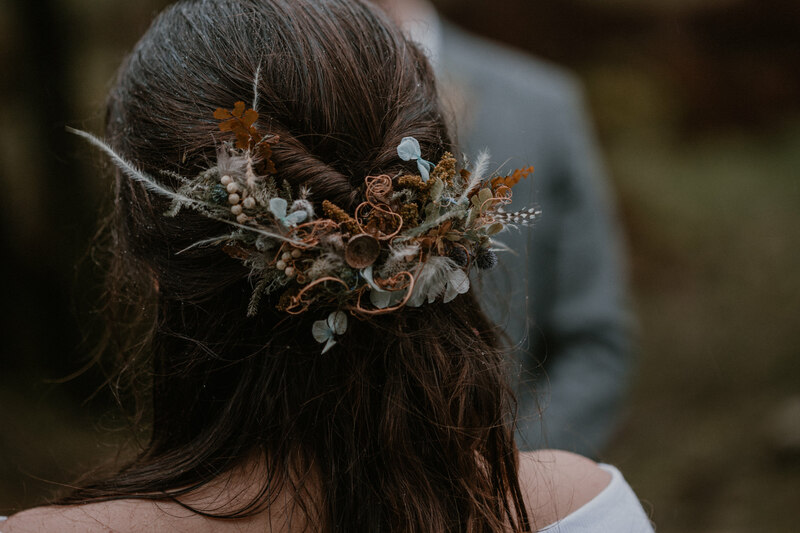 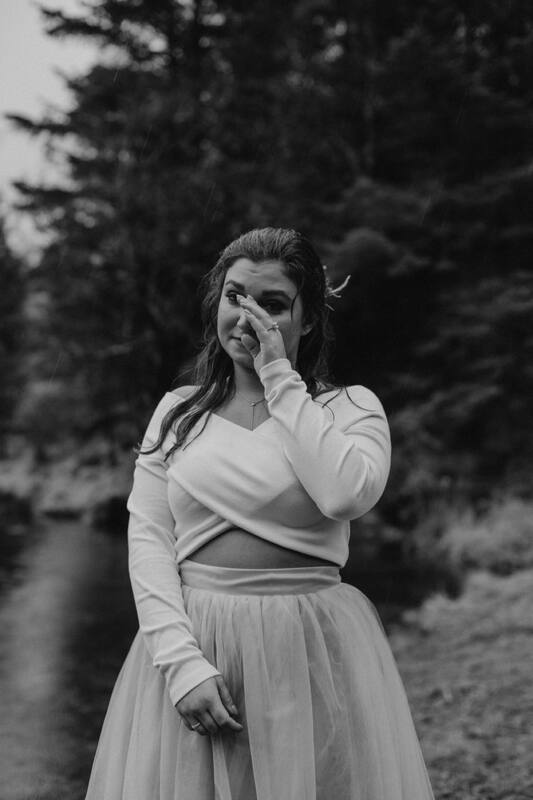 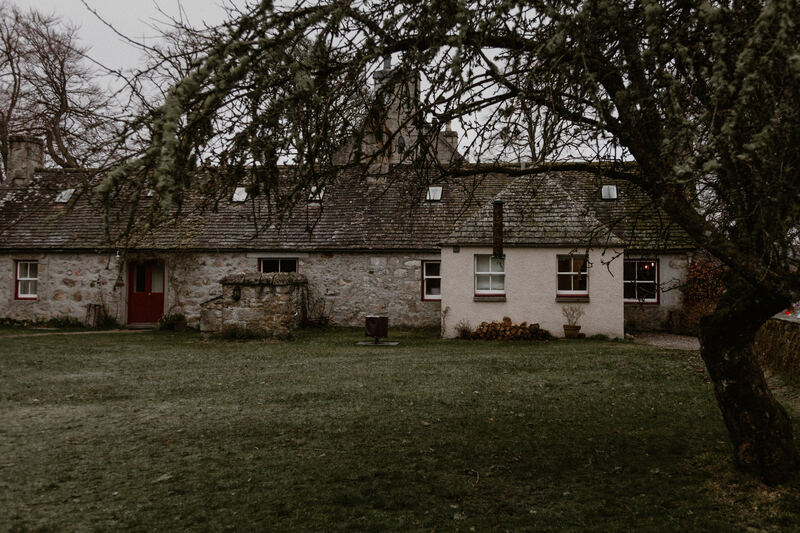 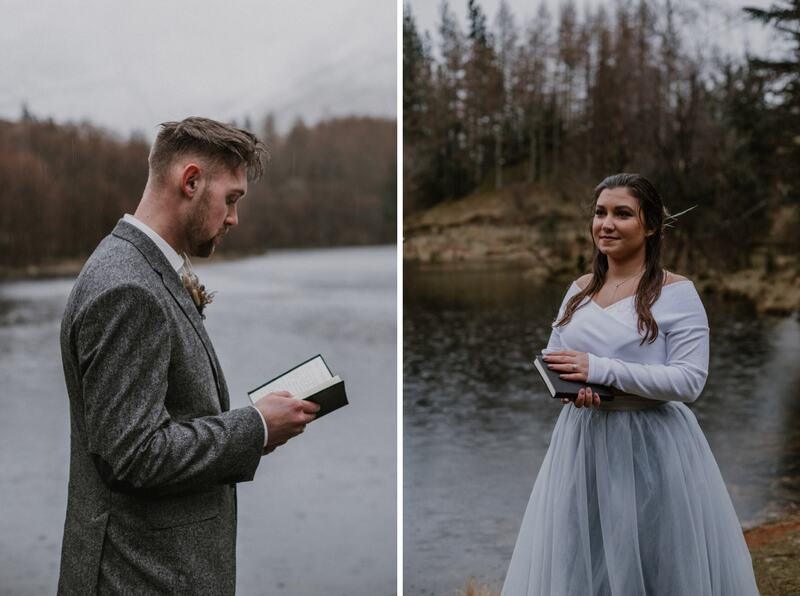 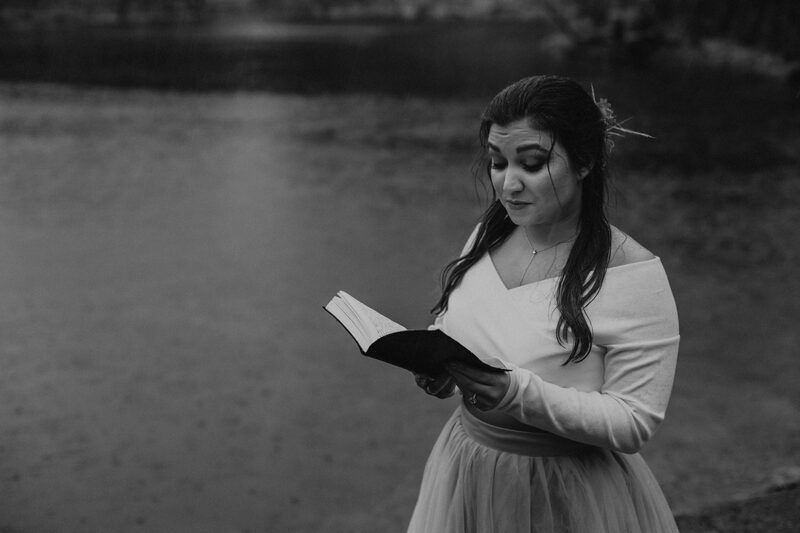 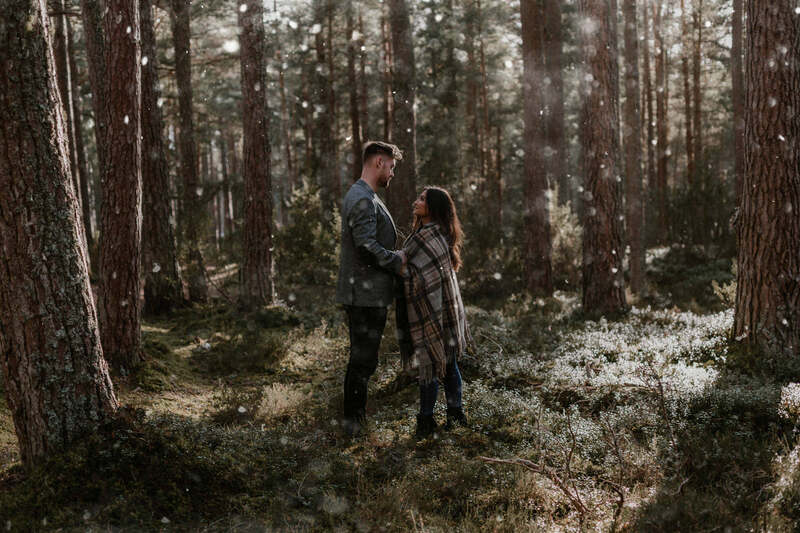 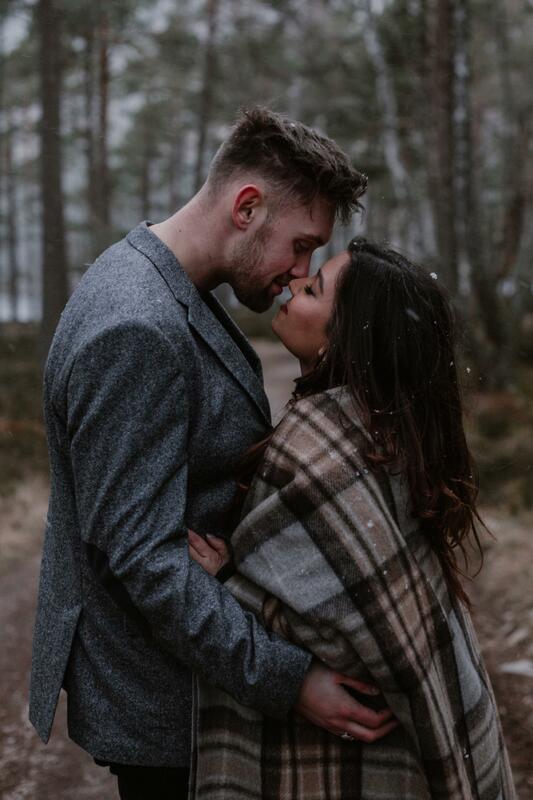 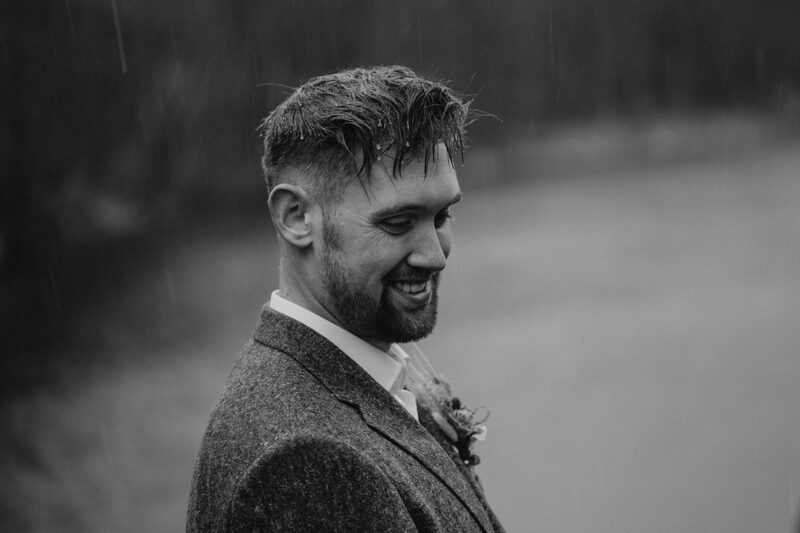 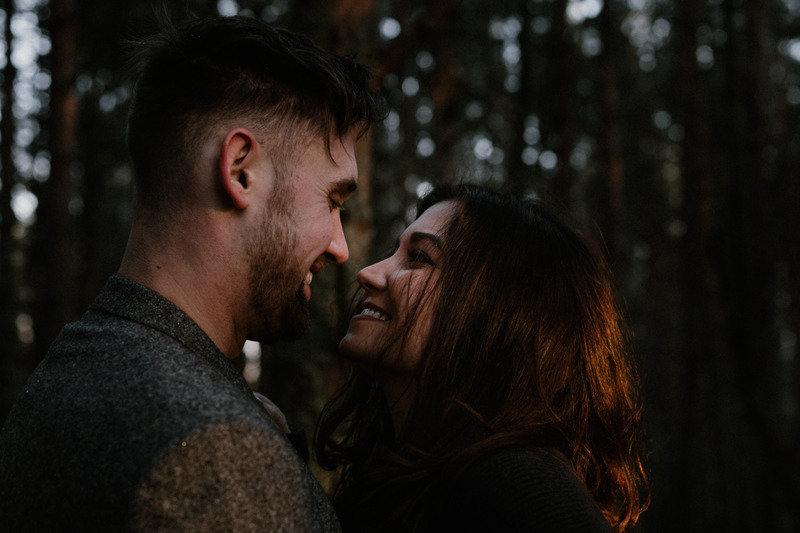 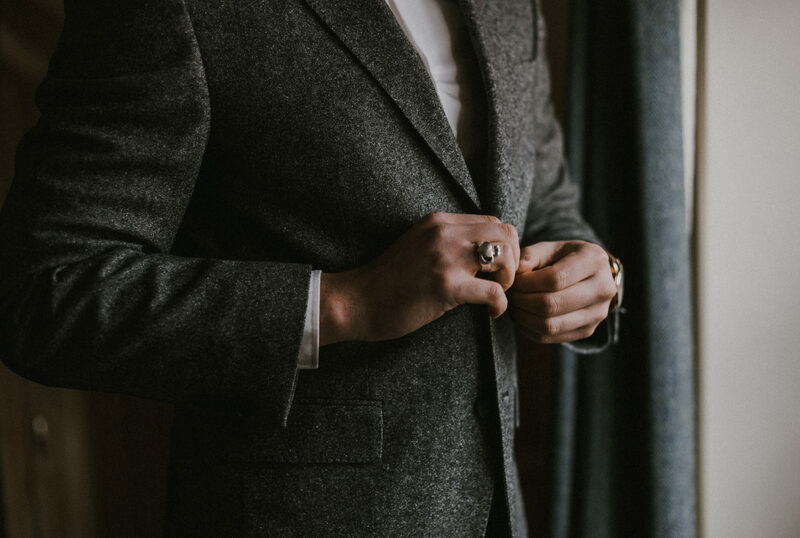 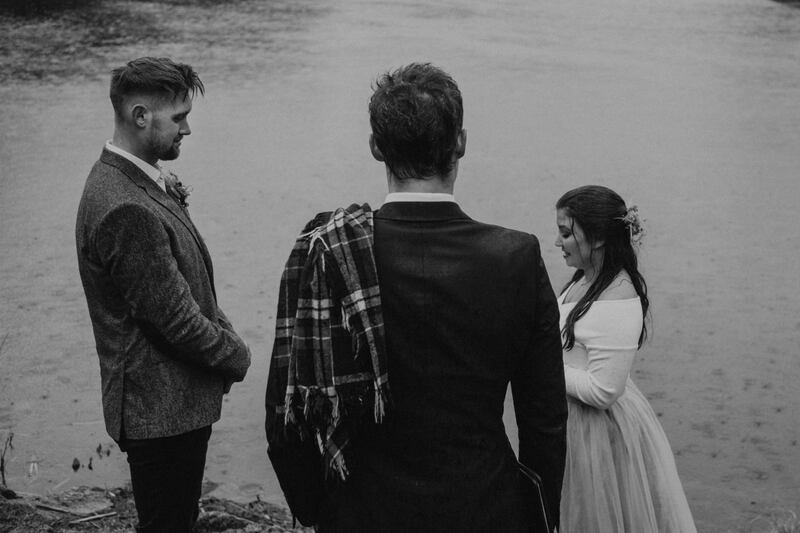 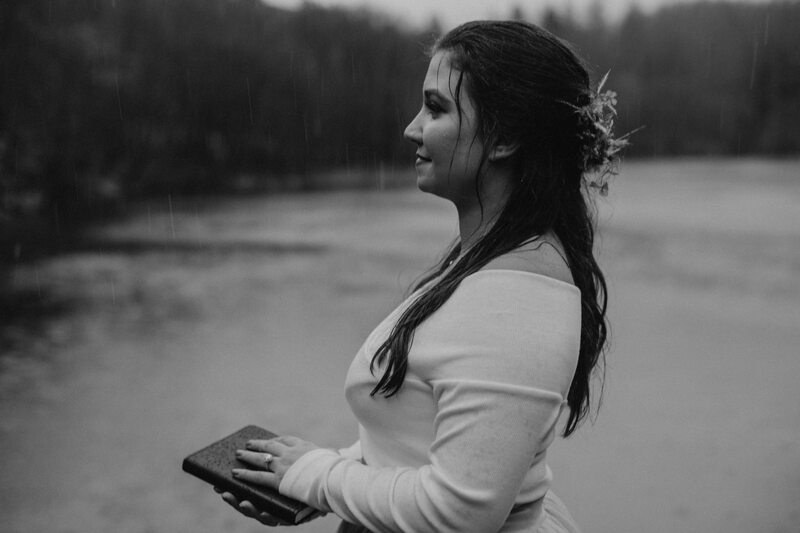 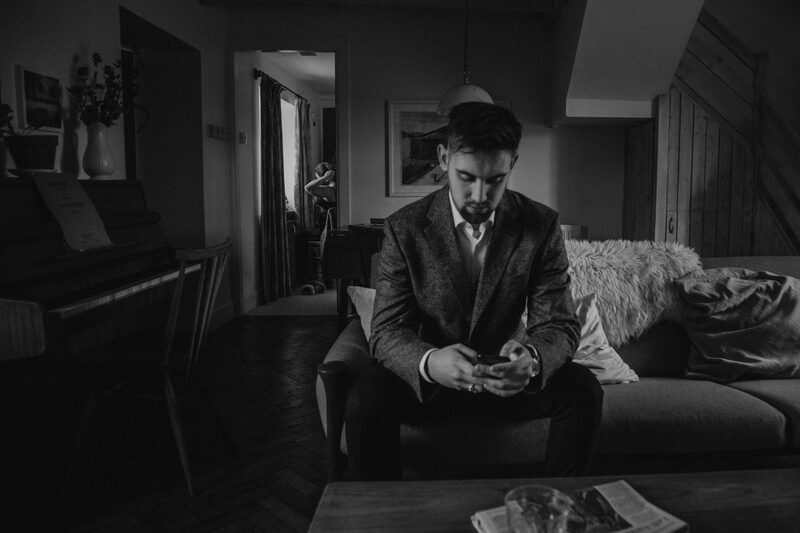 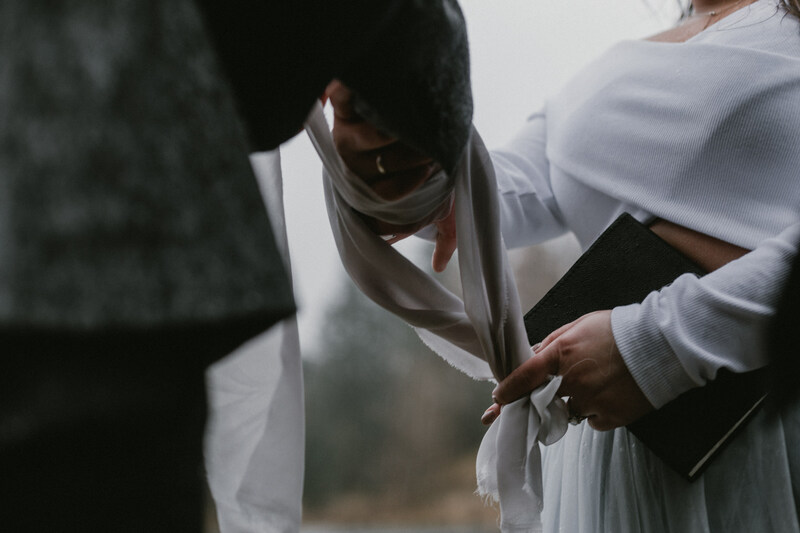 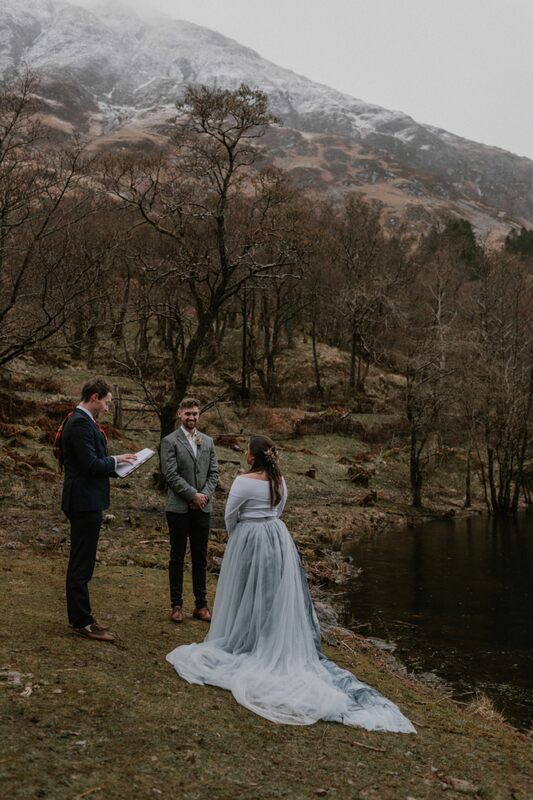 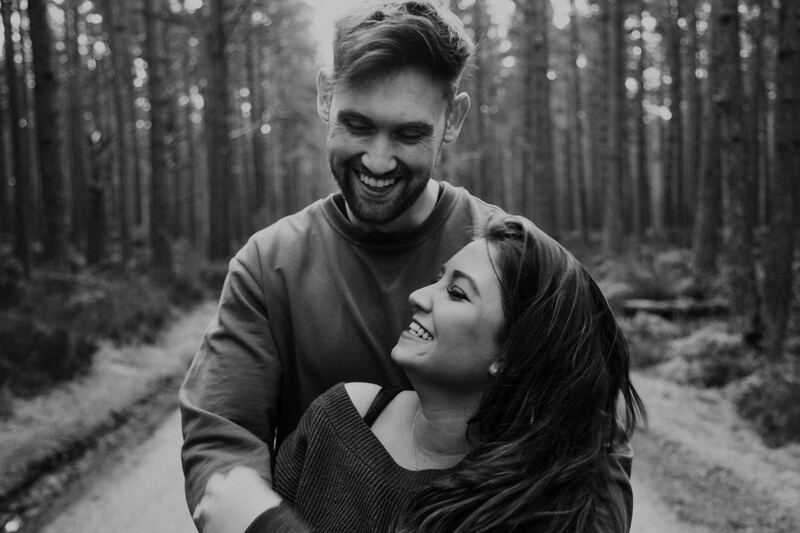 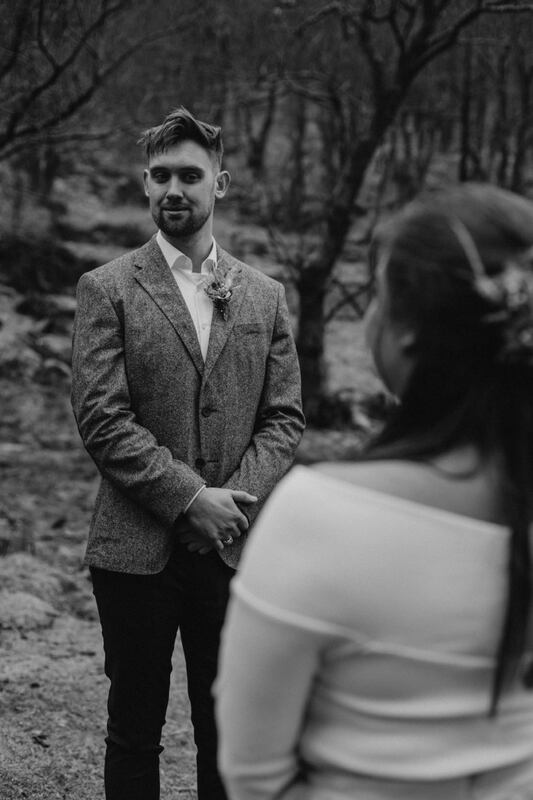 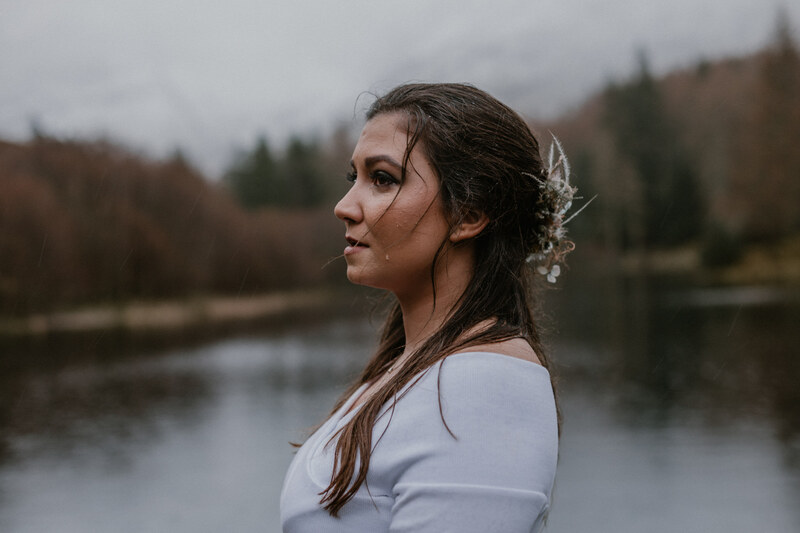 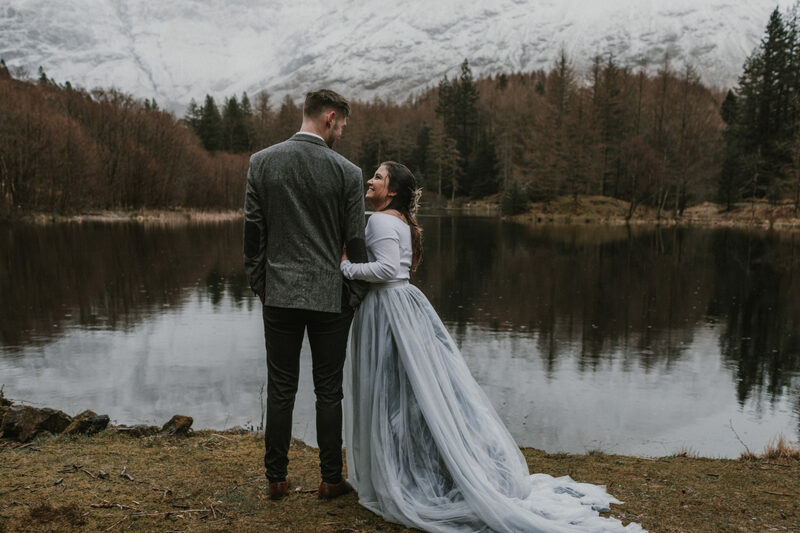 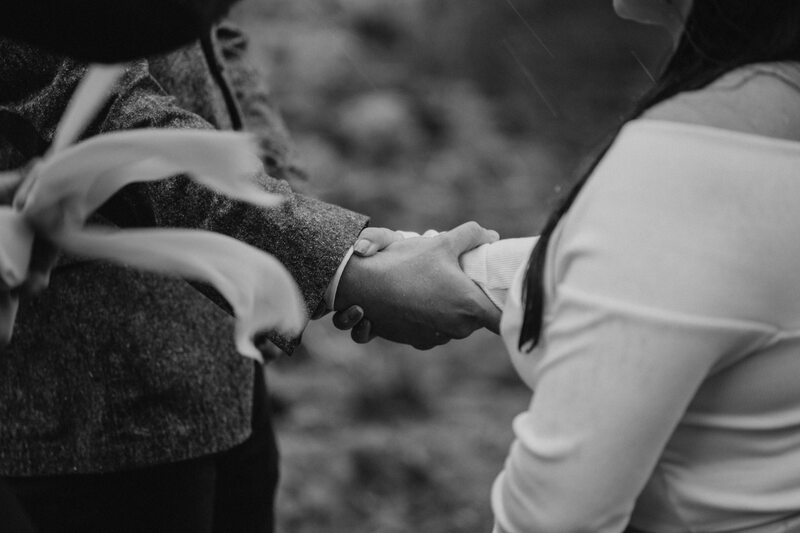 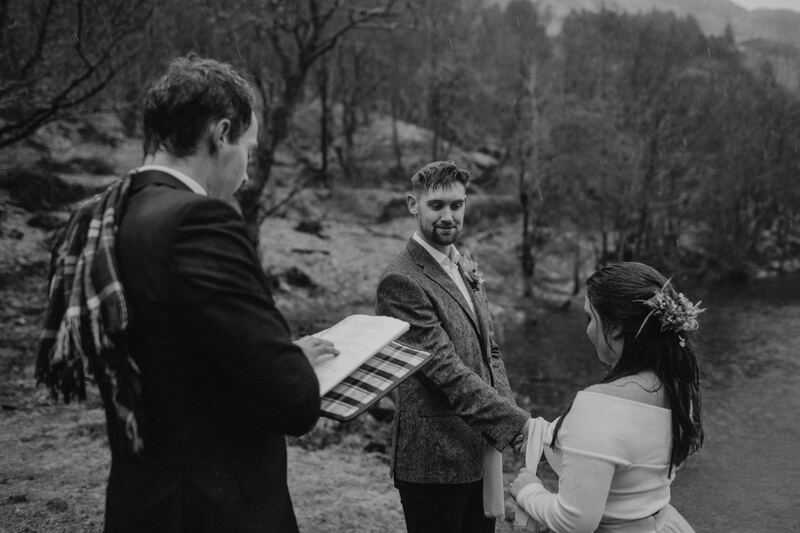 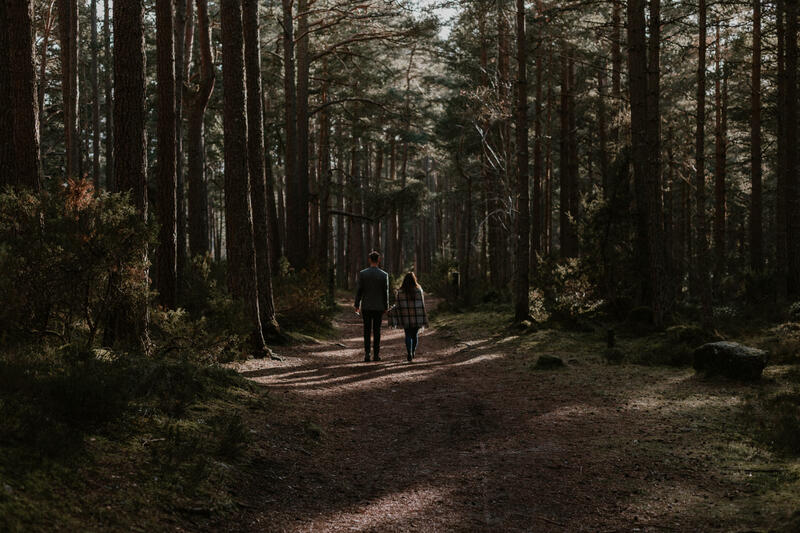 Having found a quiet loch-side spot sheltered by hills and forests, Alex and Tom had a humanist ceremony conducted by Ashton Easter, tying the knot in a traditional Scottish hand-fasting ceremony. 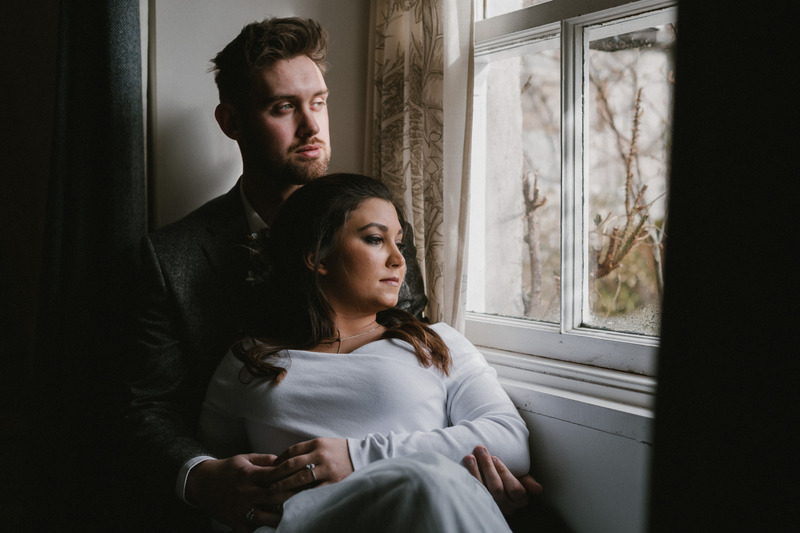 Next year they will celebrate their marriage in a more traditional wedding ceremony with family and friends in Alex’s native Italy. 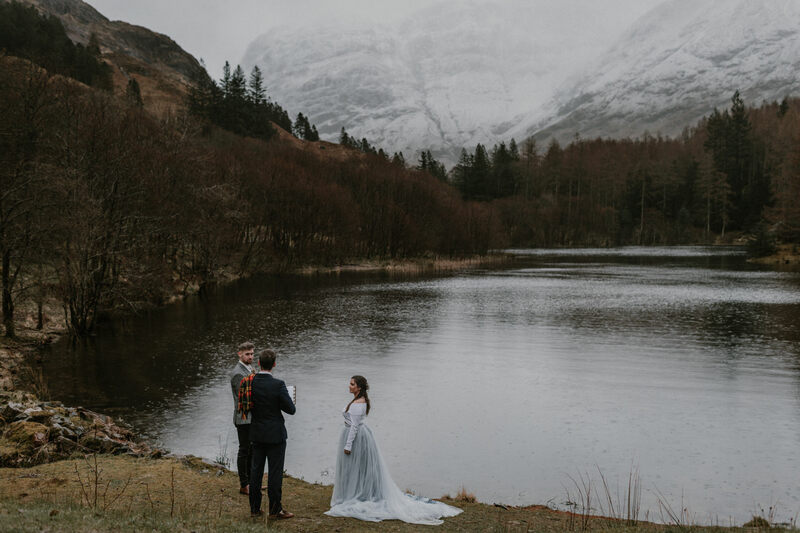 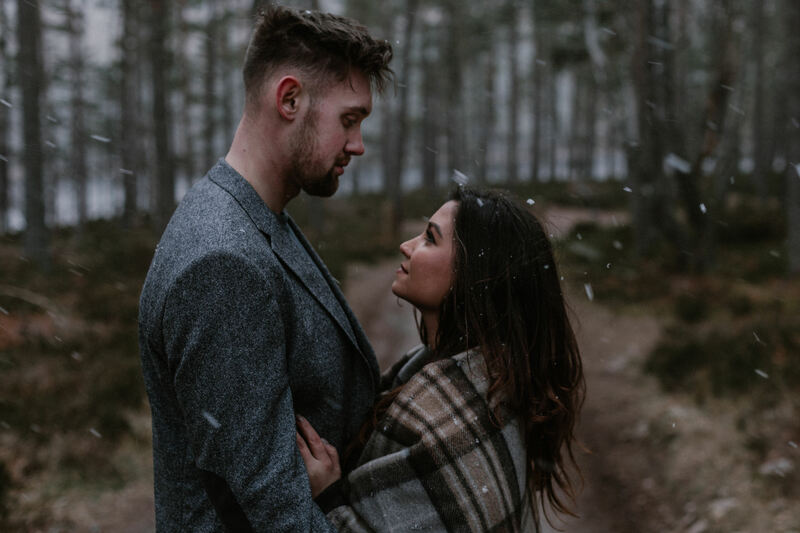 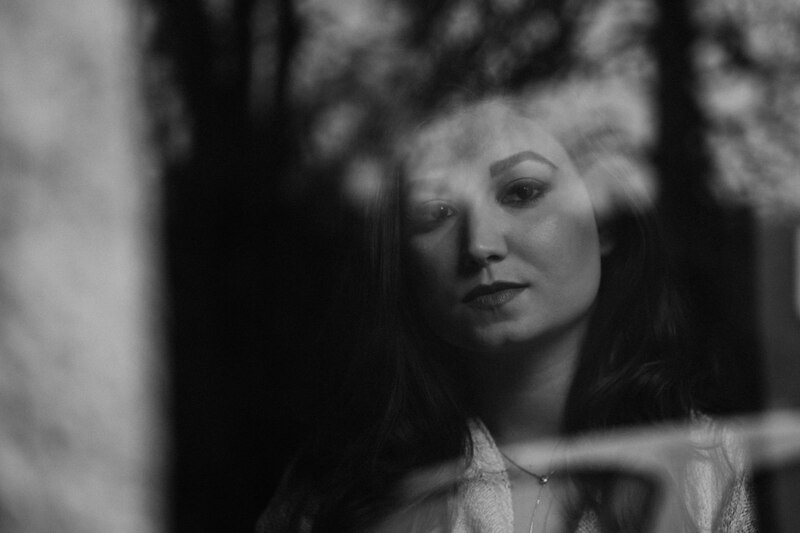 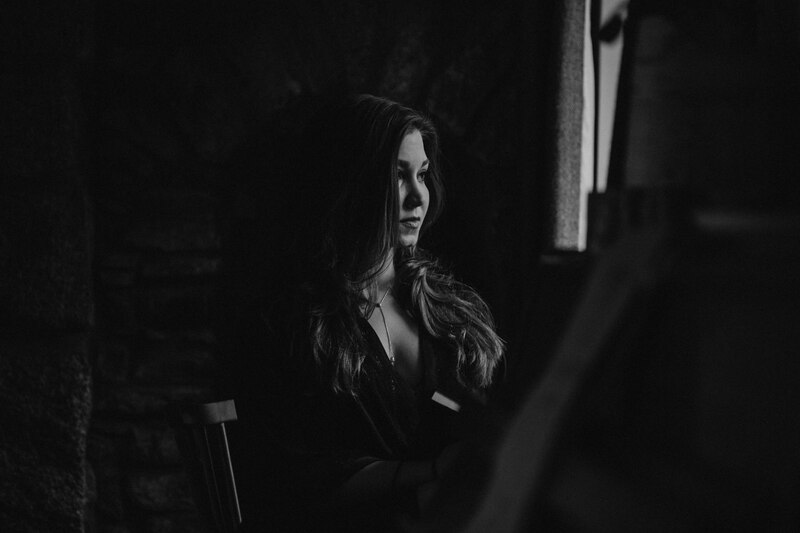 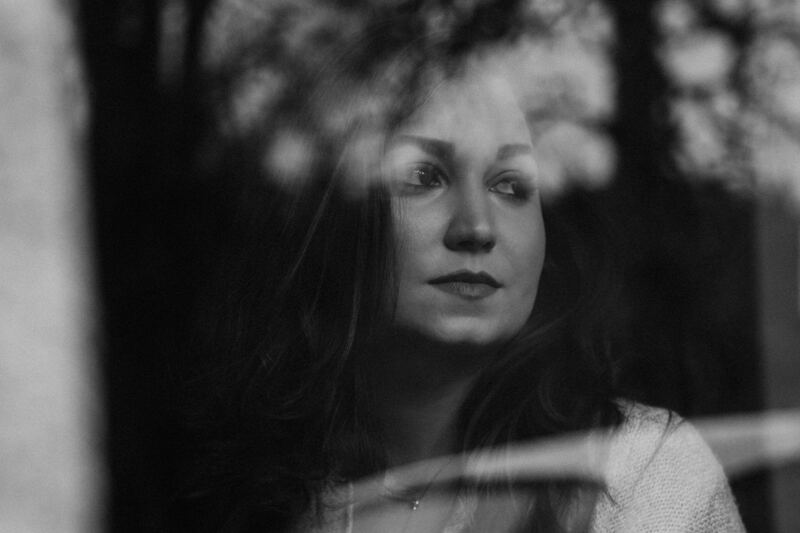 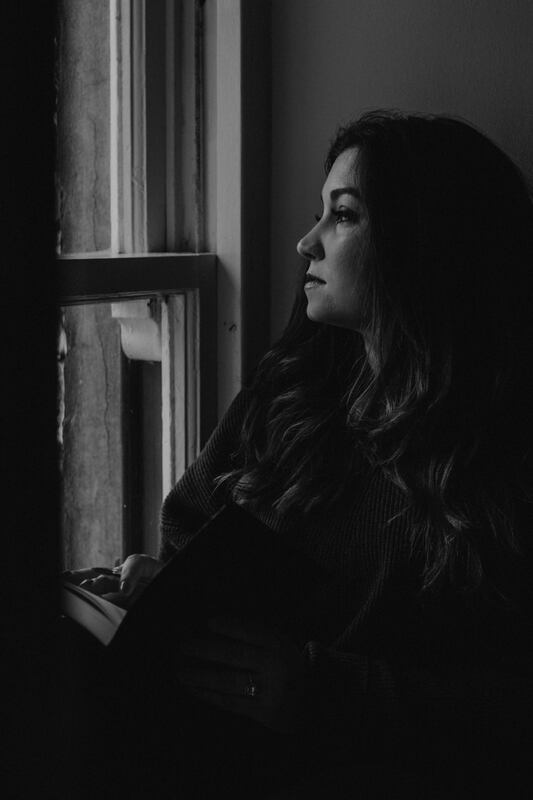 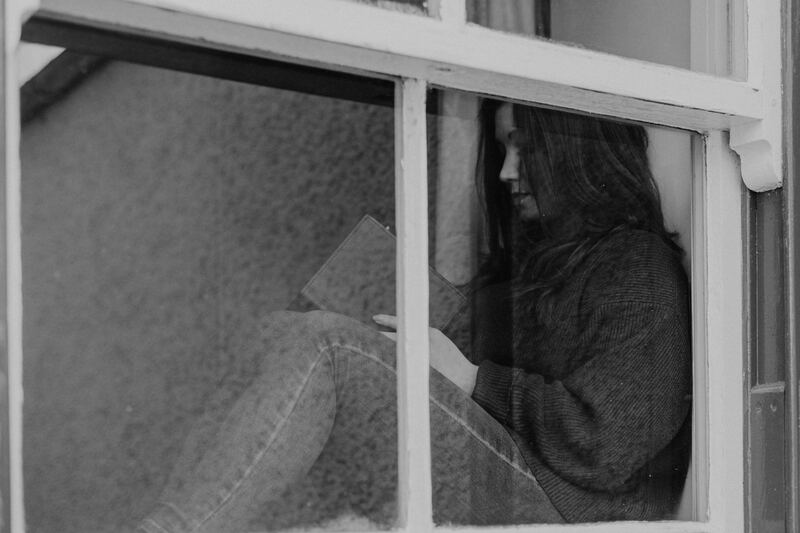 But this Glencoe elopement was their gift to themselves, a day that they could plan completely their way. 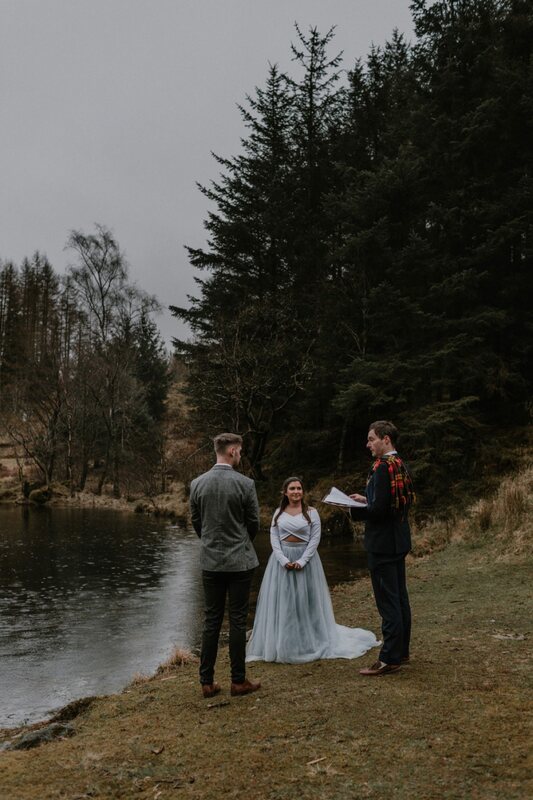 It was such an honour to be part of it.